Understanding and controlling color temperature are crucial in painting, especially when rendering depth. 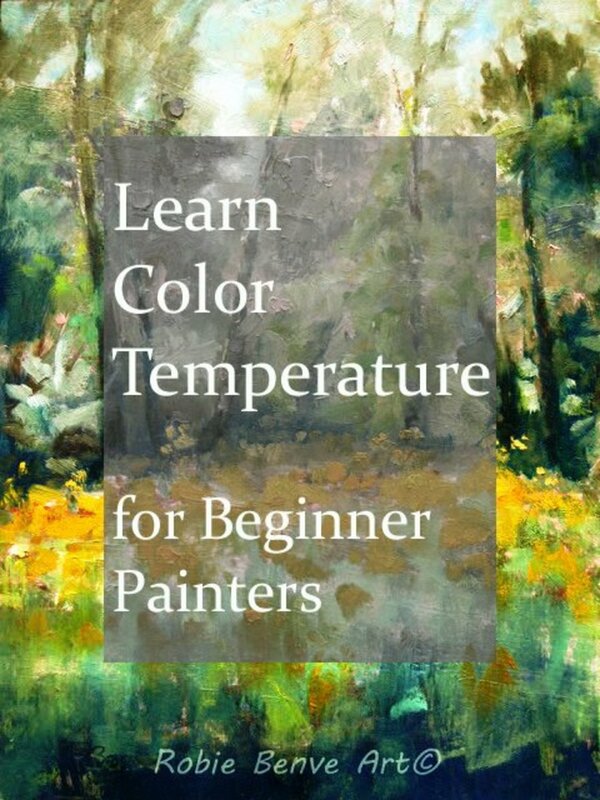 Learn how to set the mood of a painting by controlling the temperature of color mixtures. There is a lot more that goes into a live painting that the few minutes it takes to create it. There are weeks of preparations, moments of worry and so much more. I will share with you my journey. 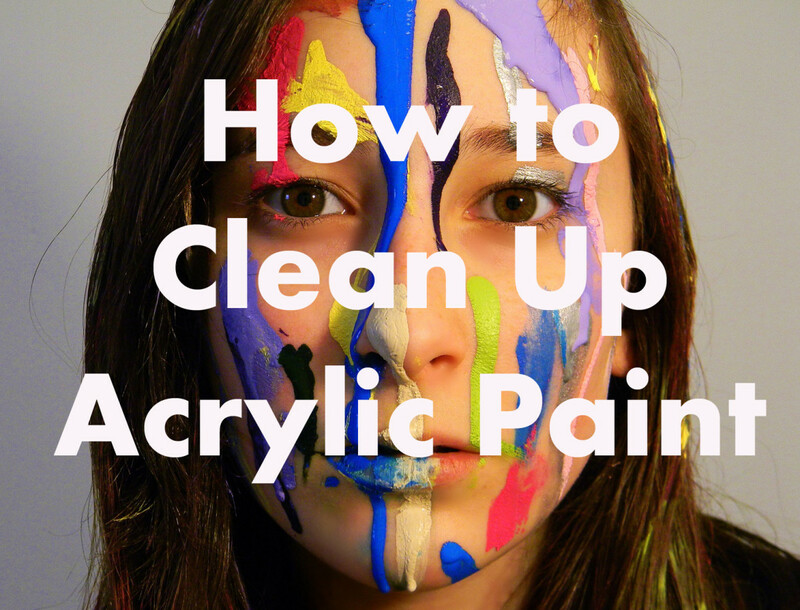 How to clean up acrylic paint from brushes, painting palettes, or clothes whether they are still wet or after they are dry. 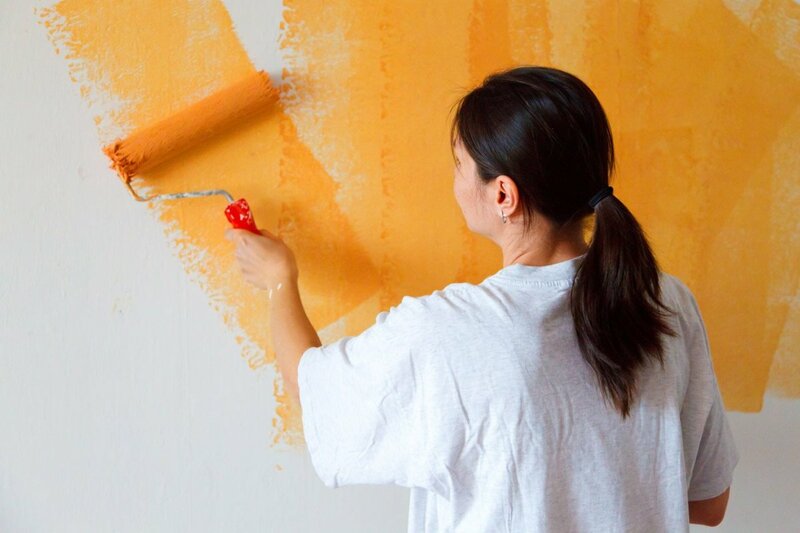 It doesn't matter if you're painting the interior of your home or a little ceramic figurine—inevitably, you're going to get paint on your clothes. Let me help you remove it with these simple tips! 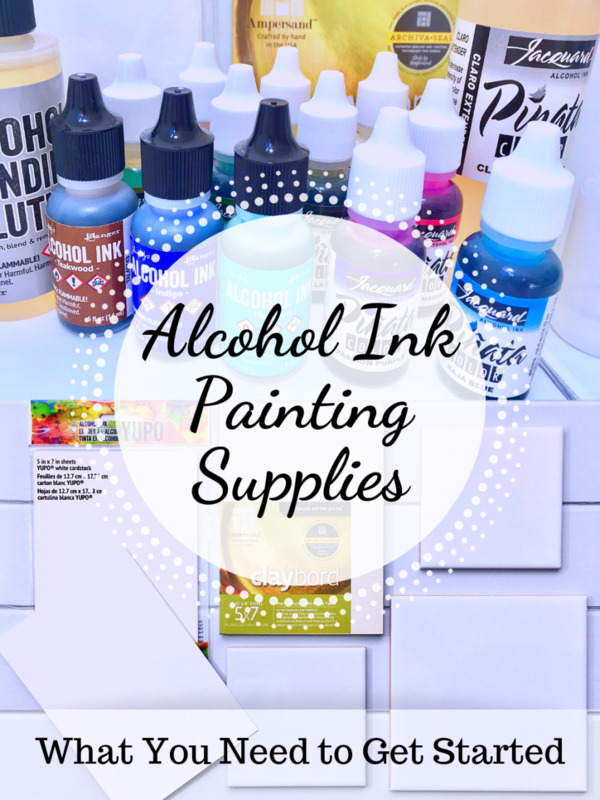 A list of alcohol ink painting supplies including inks, surfaces, and other materials used for creating colorful art with this unique medium. I absolutely loved Anna's character in ABC's Once Upon A Time. 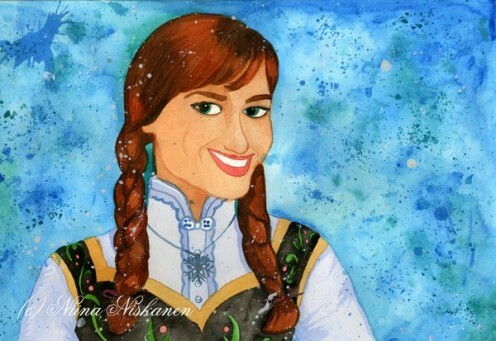 In this tutorial, I'll show you how I painted a portrait of her with watercolors! 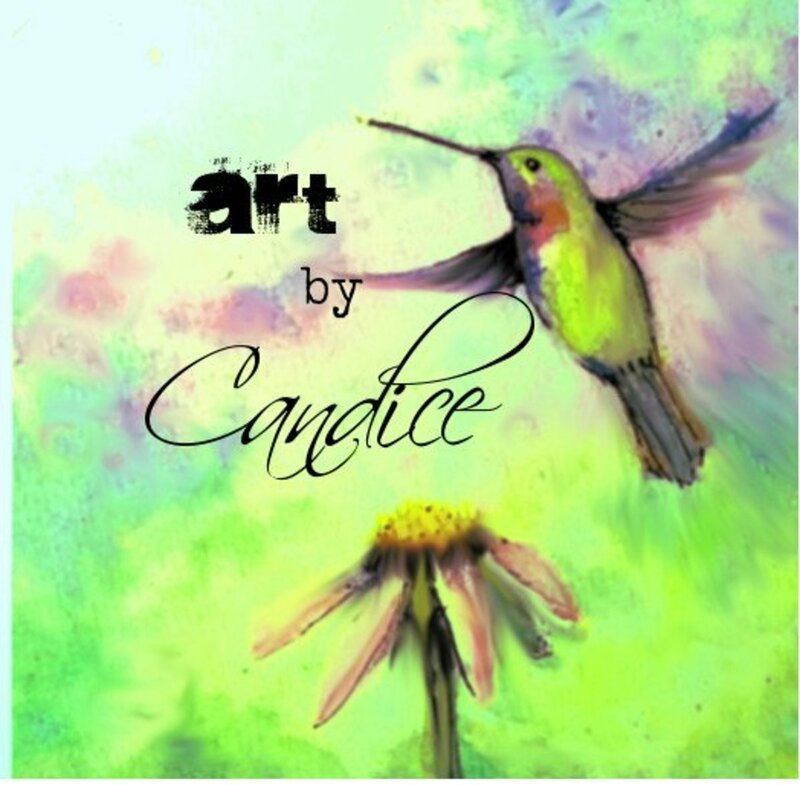 I explain what artist trading cards are and share my technique for creating them. 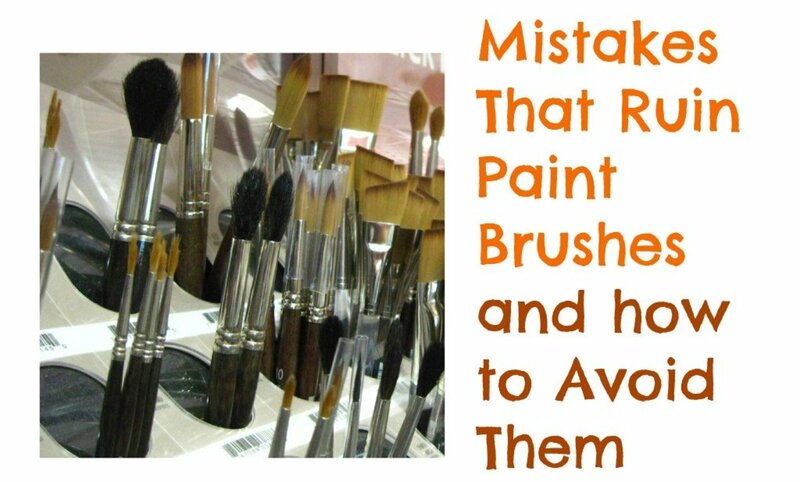 Some common mistakes quickly ruin paint brushes. 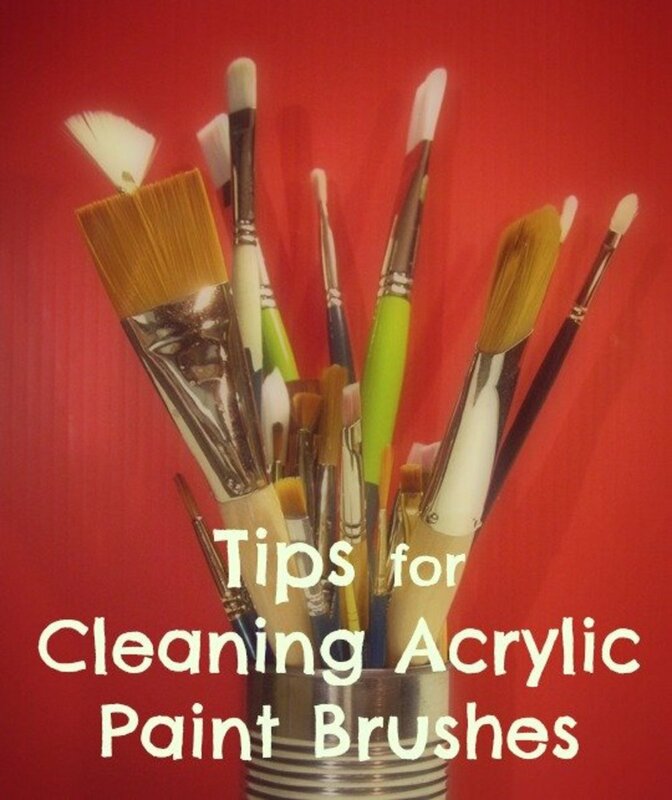 How you clean and store paint brushes determines their life span and how they stay in shape. Great tips for beginner artists. How to paint areas where sky and tree meet, making them look natural and believable. Learn how foliage and thin branches change the color of the sky. 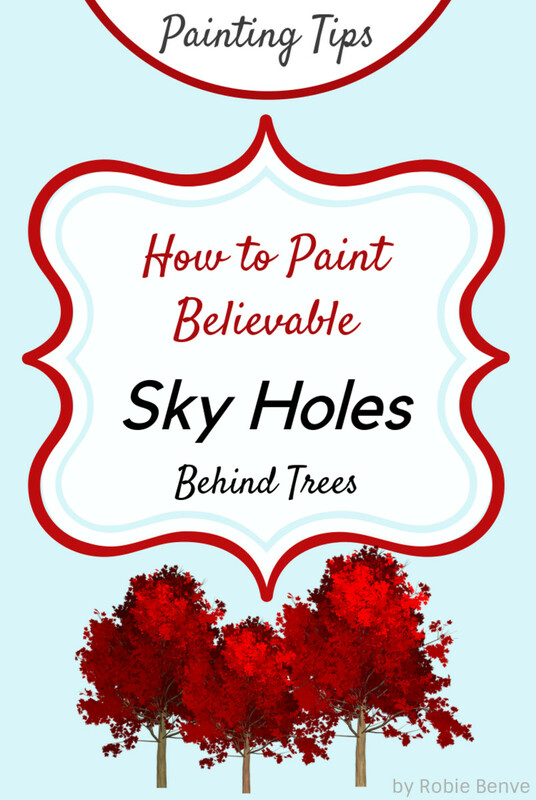 How to make sky holes believable carefully varying placement, shapes, color, value and temperature. 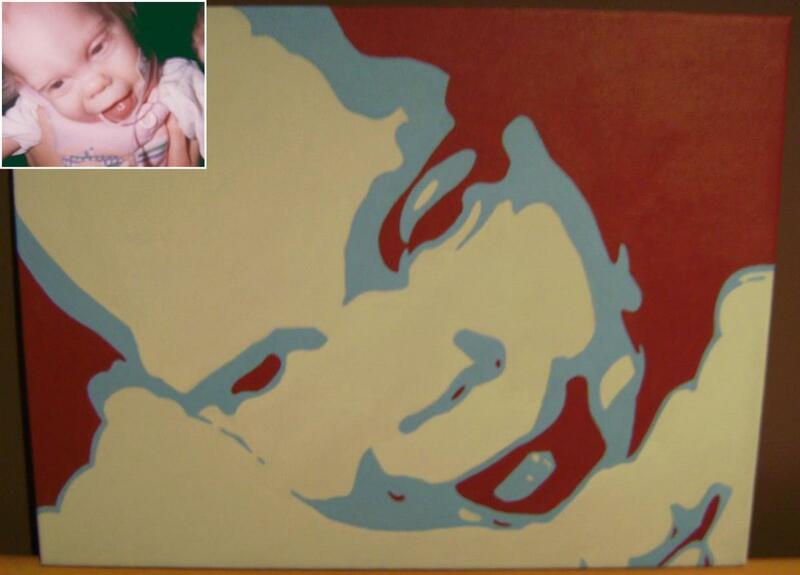 Painting from photos vs. from life. What are the differences and the challenges? 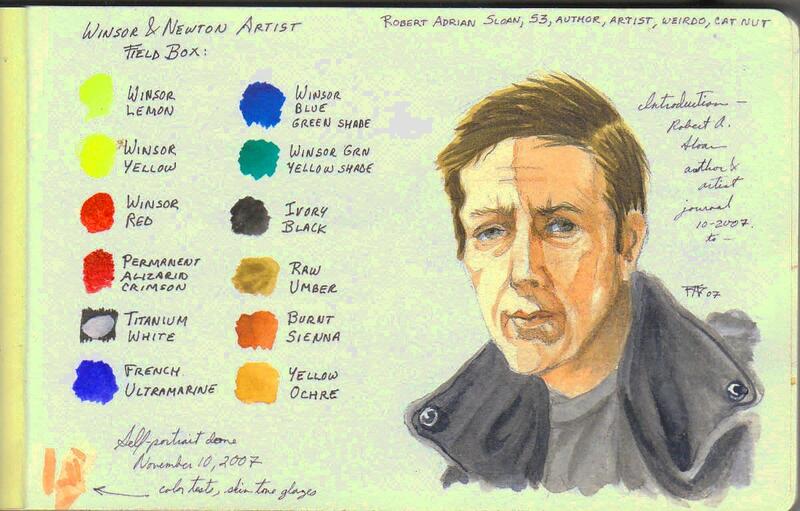 Professional artists and art teachers recommend painting from life. 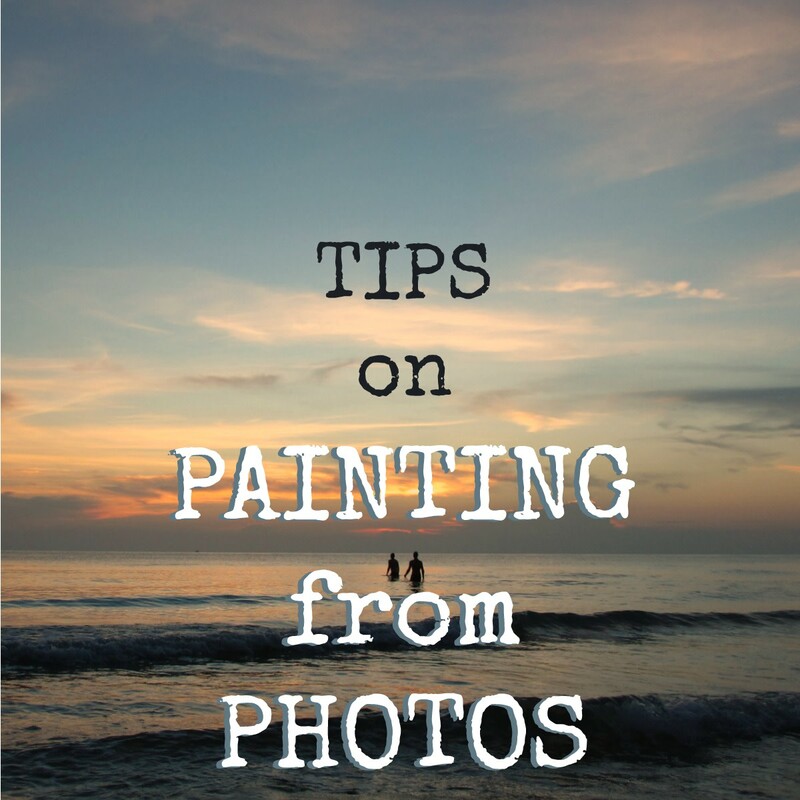 Learn the 9 things to be aware of when painting from photos, and the 9 tips and solutions to maximize the use of photos and make great paintings. 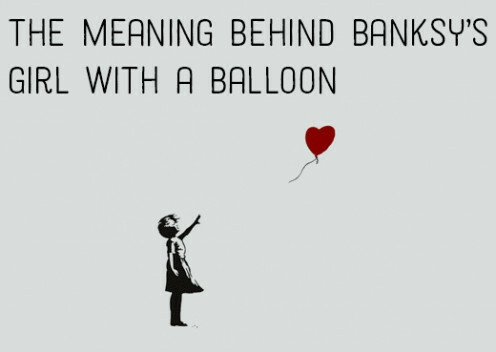 If you've seen Banksy's Girl With a Balloon, the image has probably stuck with you. But what does it mean? 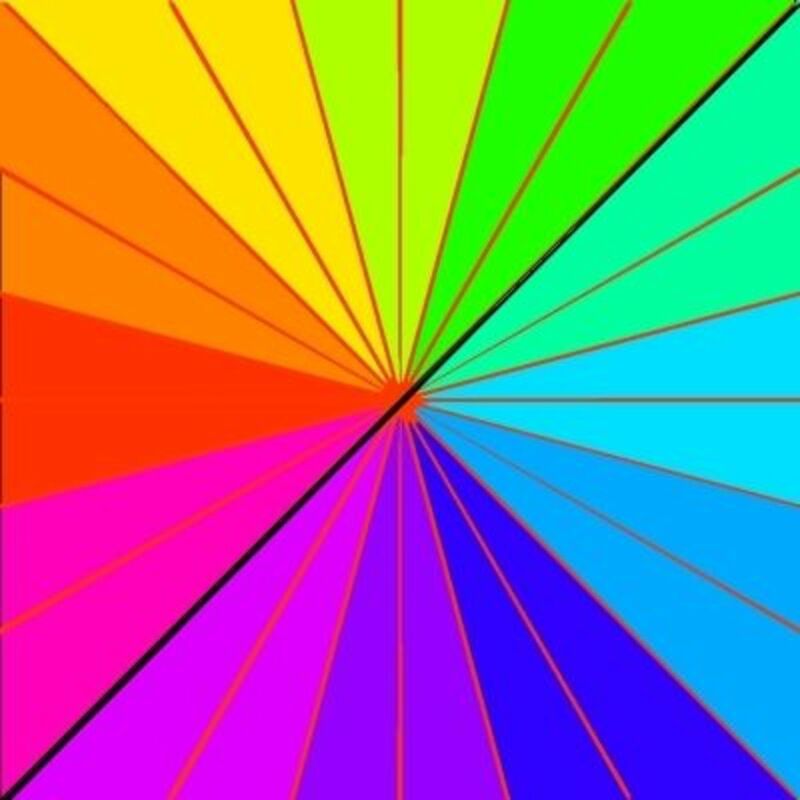 The color wheel is a great tool that helps artists decide what color scheme they want to use with a geometrical mixing method, taking into consideration the distance between colors on the wheel. 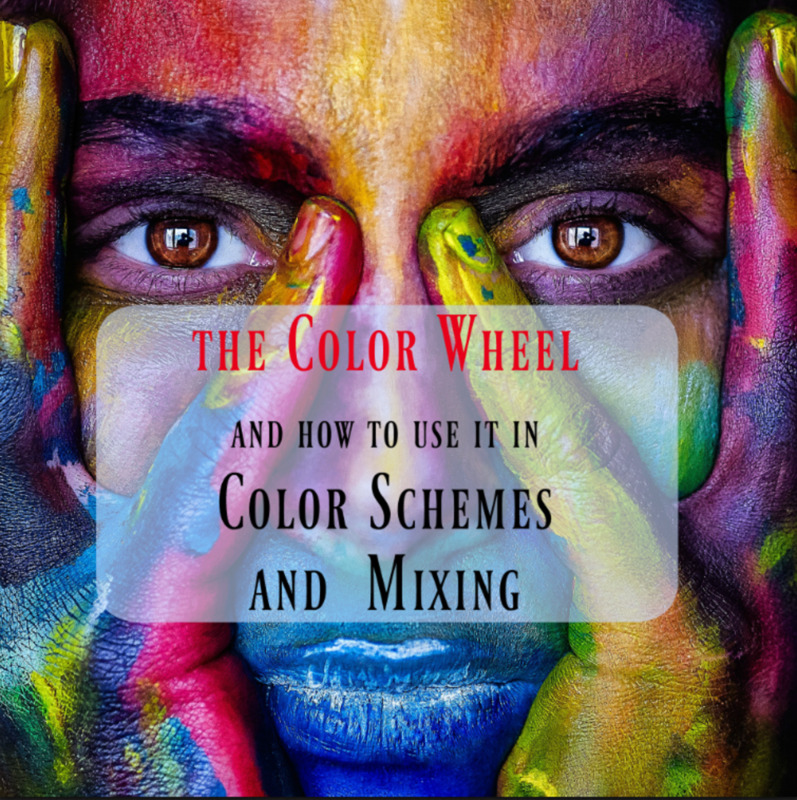 Learn how to use it and how the color wheel can help you choose color schemes and mixing colors. 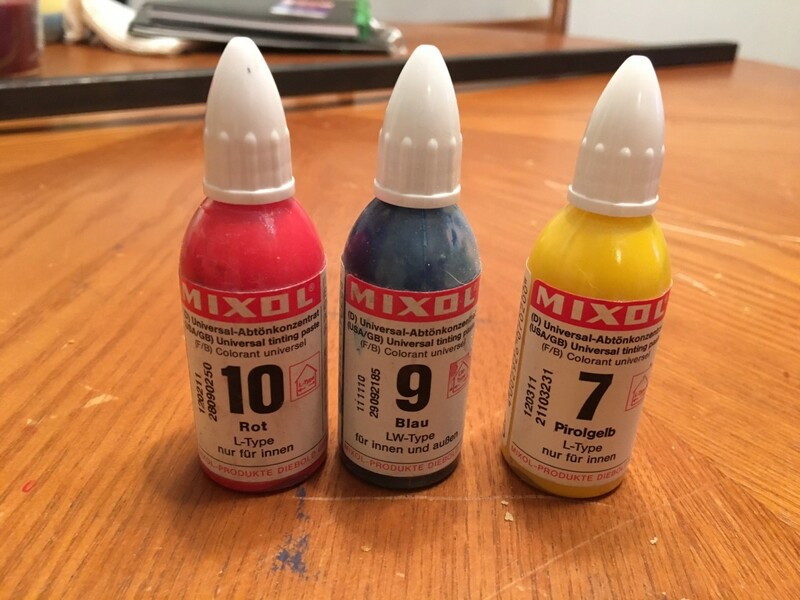 Having problems mixing colors when you paint? 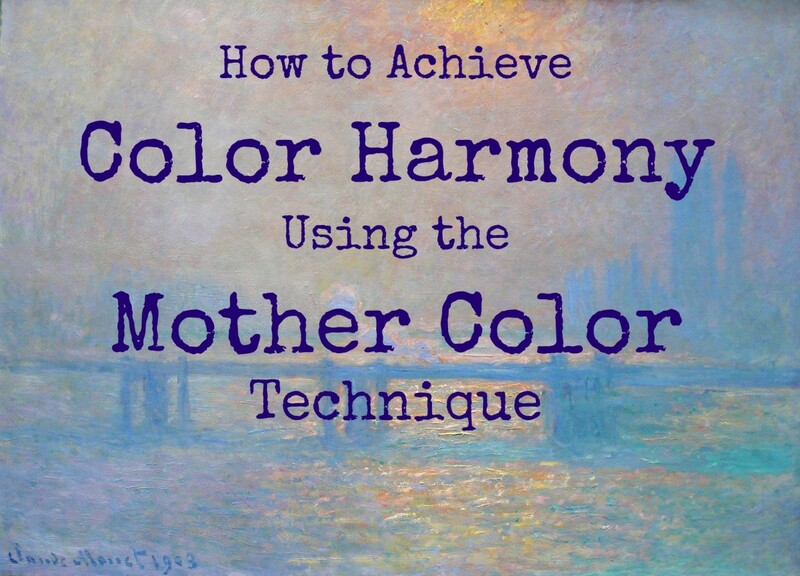 Understanding color theory will simplify color mixing for you. We start with the basics and move to the more complex including some video demonstrations. 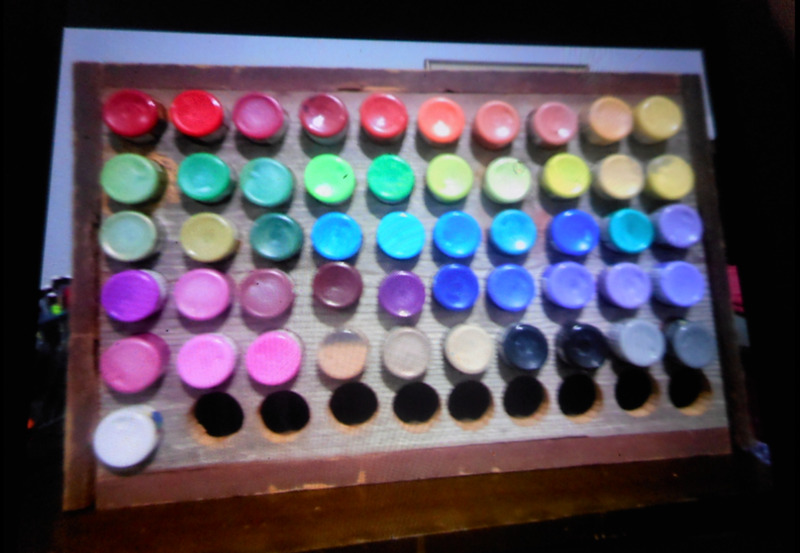 Basic oil painting supply list. 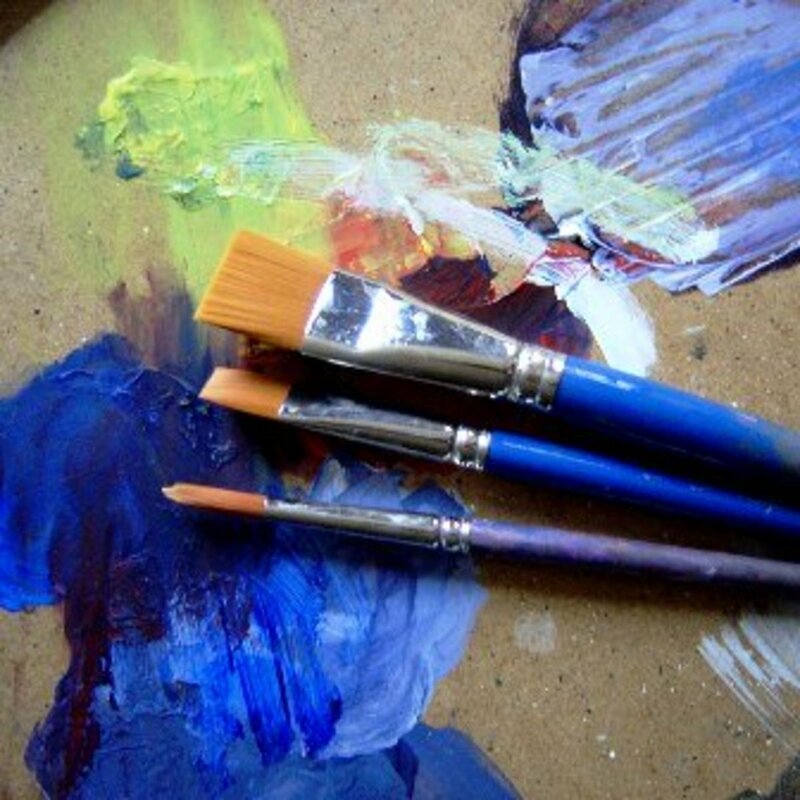 The 8 things artists need to start painting with oils. 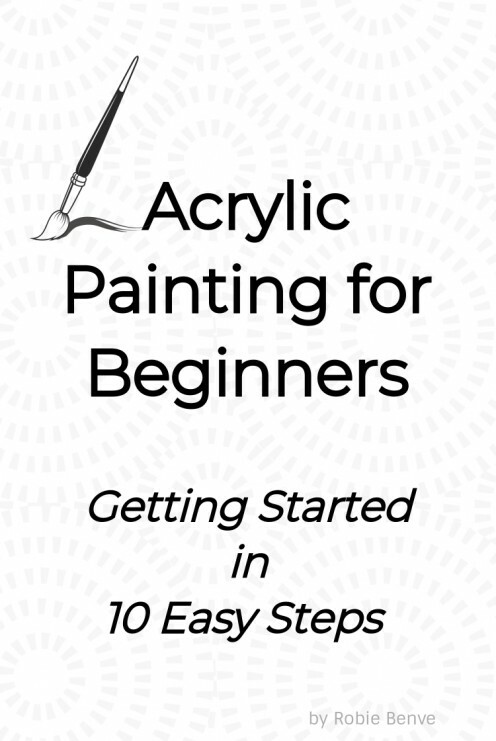 The answers to the common questions of all beginner painters. 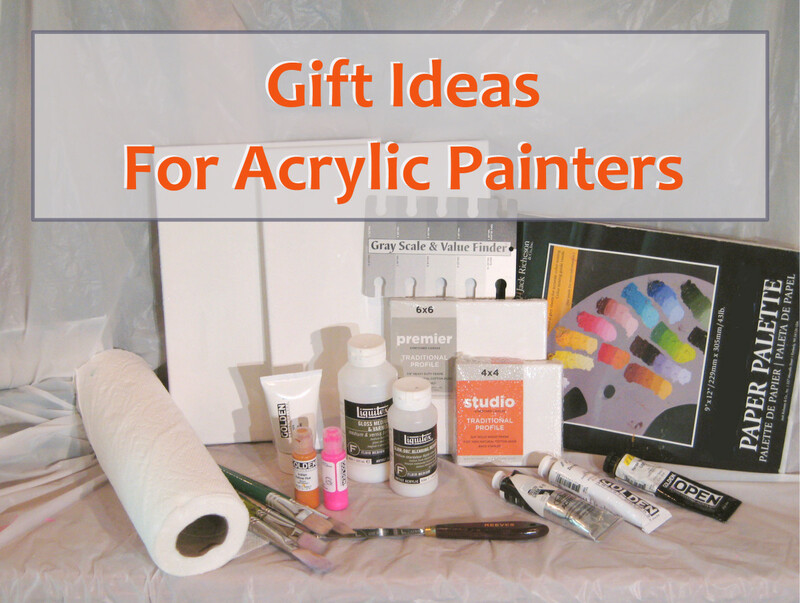 Gift ideas for oil painters. 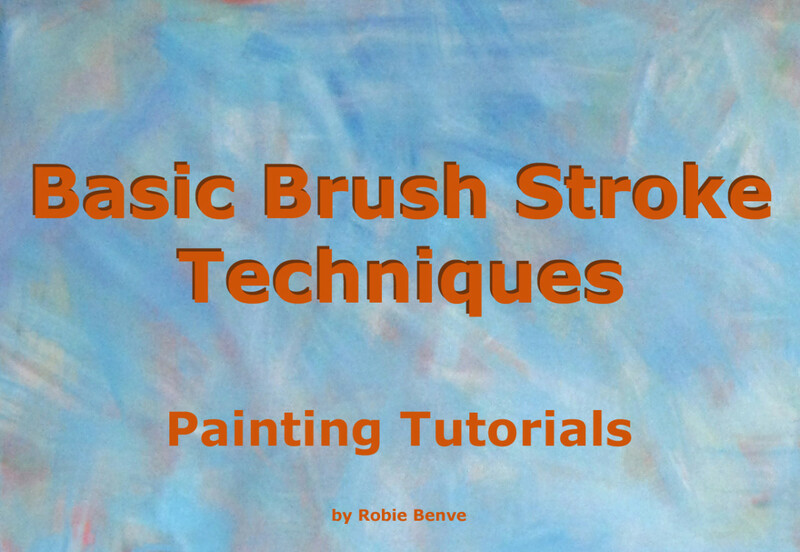 Brush stroke techniques for fine art painting. 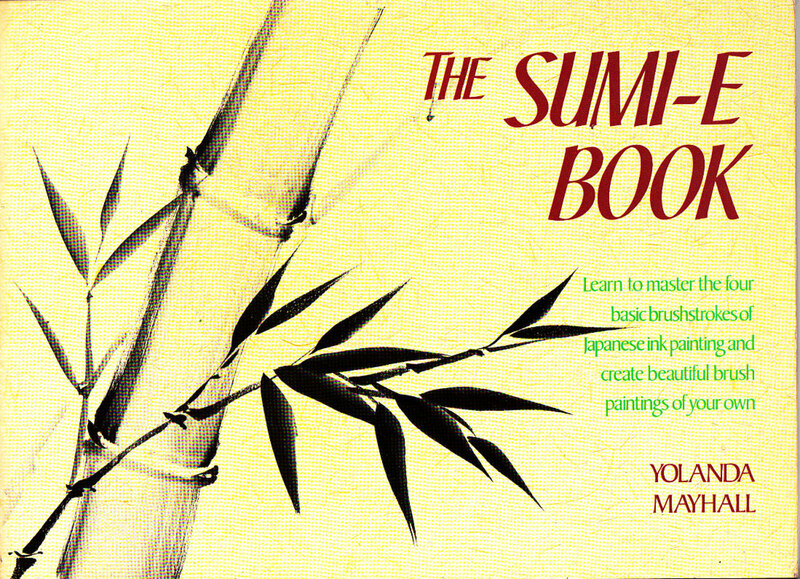 Learn the different brushstrokes and become a more successful painter. Crosshatching, hatching, dry brush, flat wash, scumbling, stippling, etc. Rock painting and ladybug rock art. How to paint ladybugs and ladybirds on rocks. Tips and ideas for painted rocks. These sell very well at my craft shows. 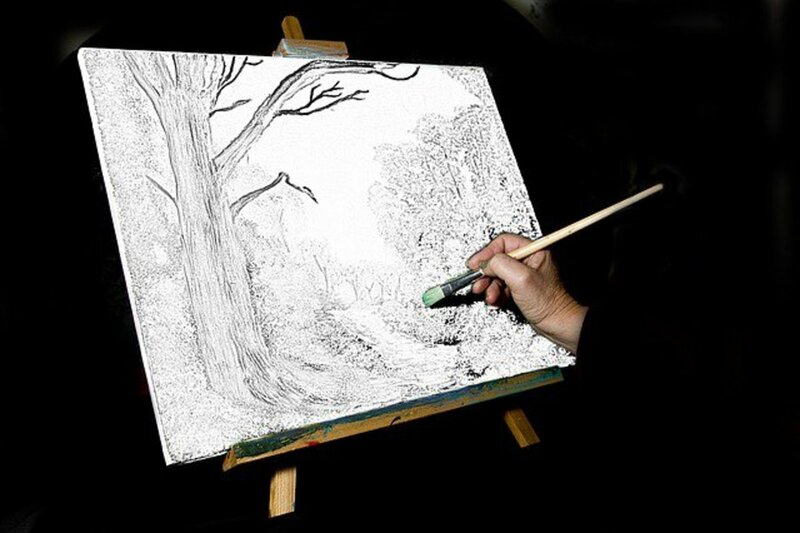 Learn the nine steps to painting trees, starting with the most important feature of the tree, its contour, and ending with the details. 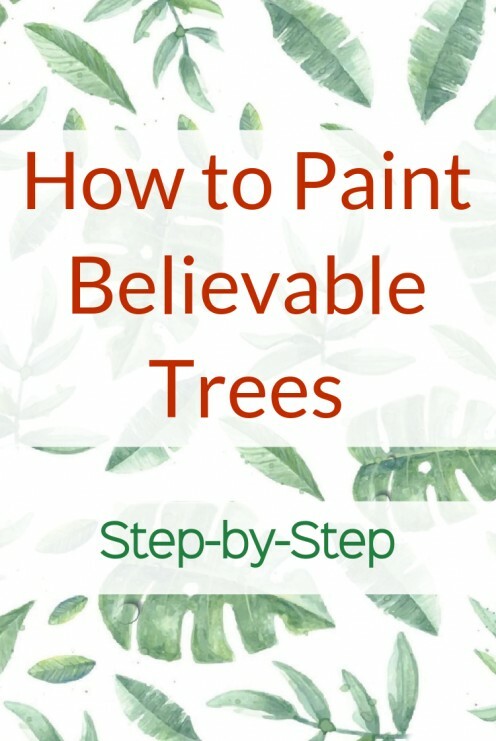 Robie Benve shares her nine secrets to painting trees that are believable and that present character and dimension. Walk into any art shop anywhere in the world and you will be confronted with a vast array of products. 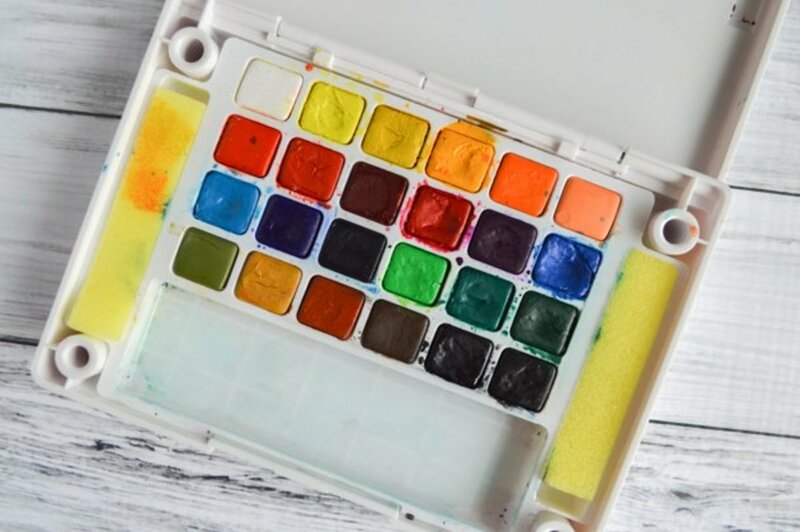 This article aims to help save you money by offering advice on selecting only those items which you really need to get you started on your journey to becoming a watercolour artist. 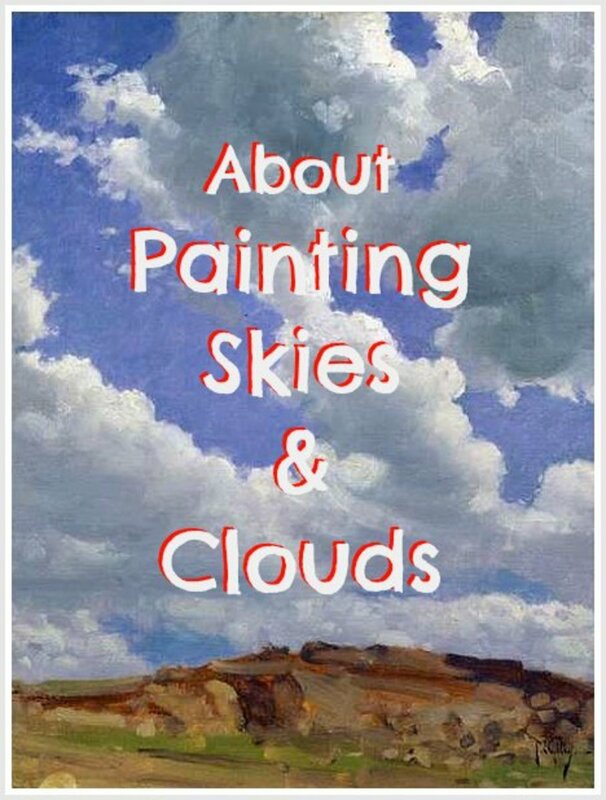 10 great tips to paint gorgeous skies and clouds. Both sky and clouds have some of the softest edges you can find in nature. 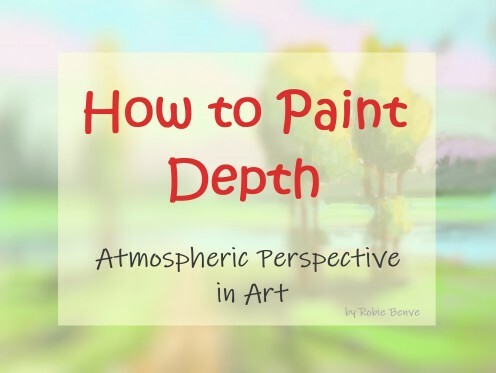 Learn to notice things like atmospheric and linear perspective, and how sky colors are less intense in the distance and more intense in the clouds closer to us. 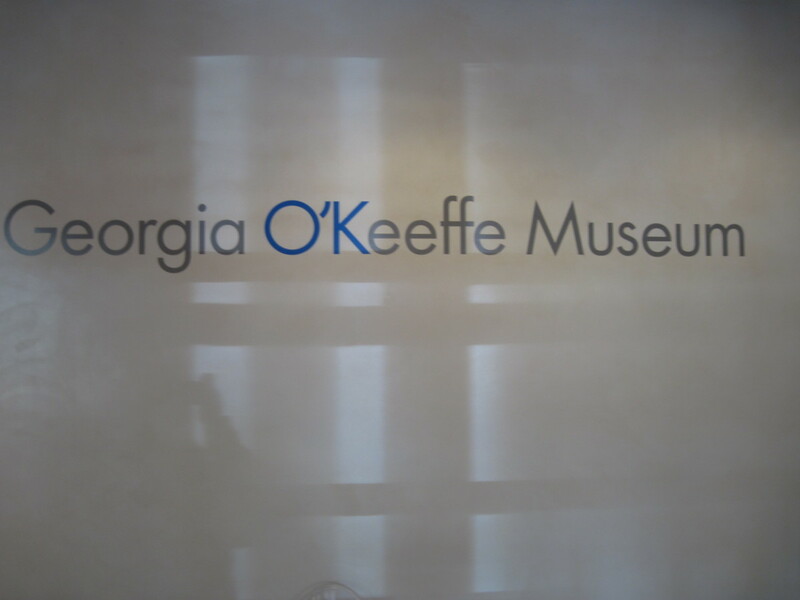 The Georgia O'Keeffe Museum provides visitors the opportunity to see work created by an American female artist whose paintings and other art creations are recognized around the world. 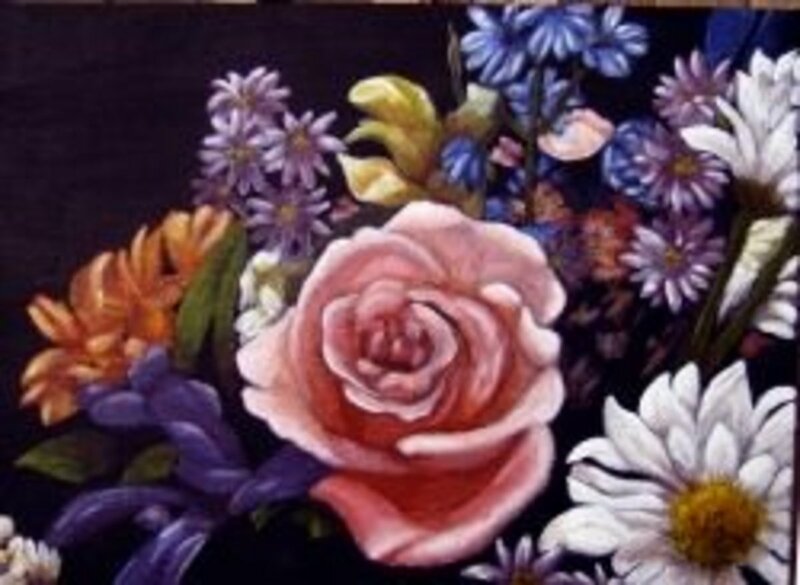 Learn the process of completing a still-life oil painting in one session. Watch the video that shows the painting process and delves into how I chose the colors of my limited tetrad palette. 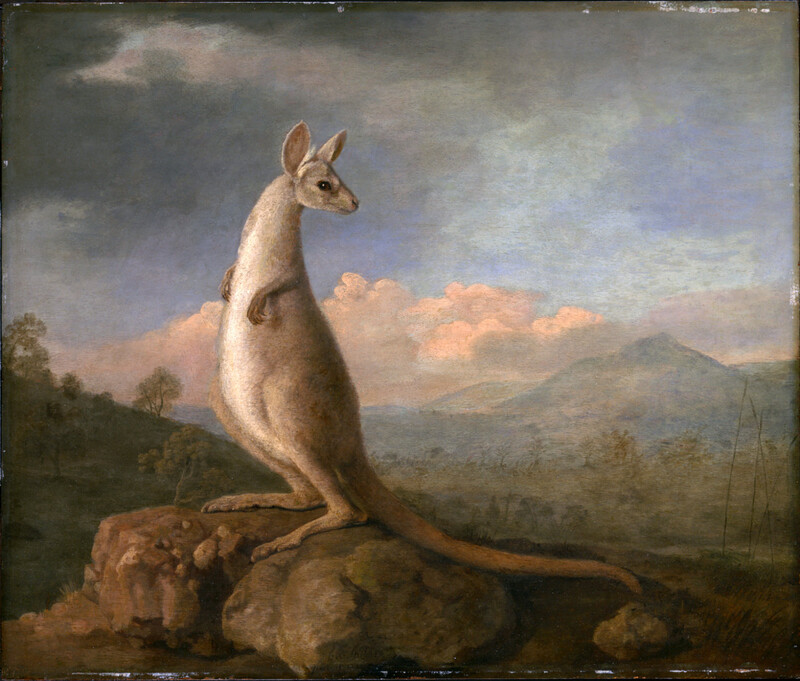 Alla prima is a direct painting technique, also known as wet-on-wet. The Queen's Gallery at Buckingham Palace presents Portrait of the Artist, the first-ever exhibition of portraits of artists in the Royal Collection. 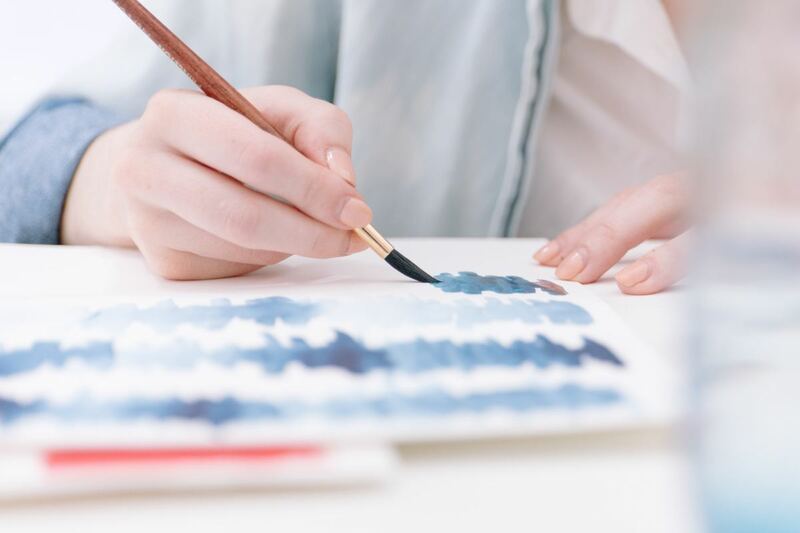 If you enjoy painting but just aren't inspired, check out these painting ideas. Lots of photographs are included! 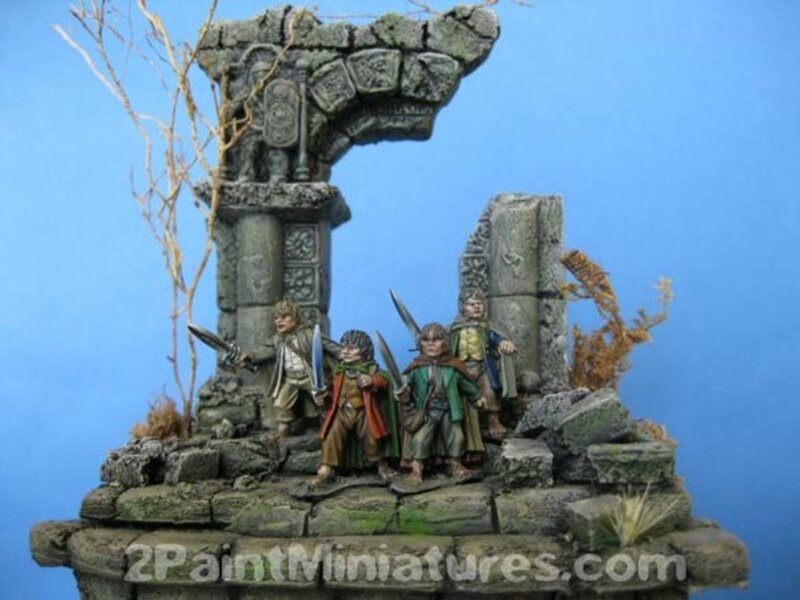 Use a dry-brush technique to paint stonework! It enhances a miniature diorama and makes it look more believable. Still life painting challenges: setting up a successful composition, lighting it, sketching it, and getting ready to paint or draw it. Learn how to prepare the canvas, choose a subject, and transfer a sketch from a drawing pad to your canvas. 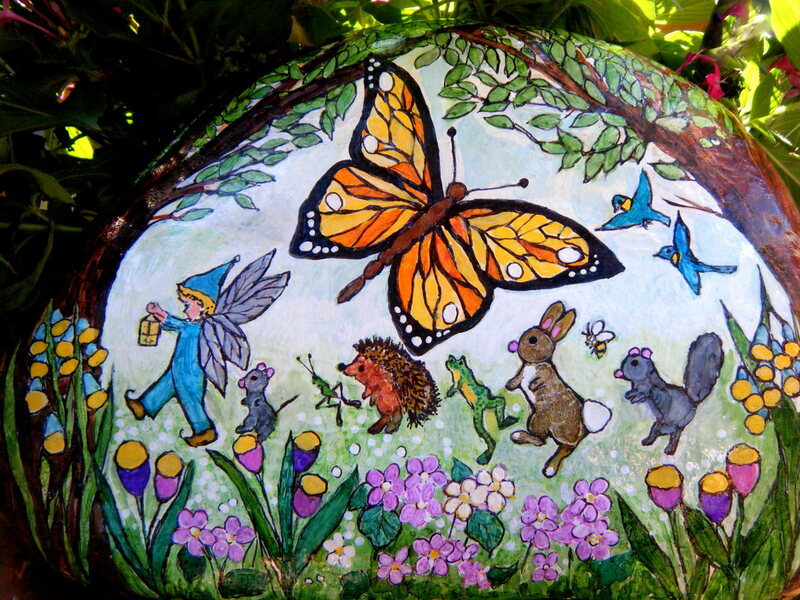 Hand-painting rocks is a timeless craft that can provide hours of fun and relaxation for anyone. I hope you try it! 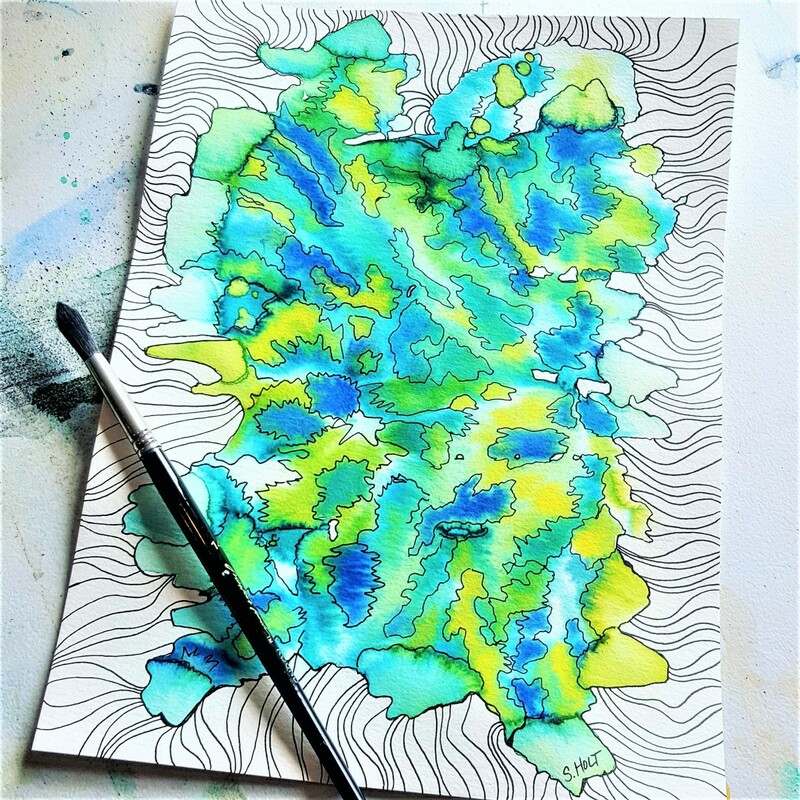 Do you want to learn how to make art pieces from leftover watercolor paint? 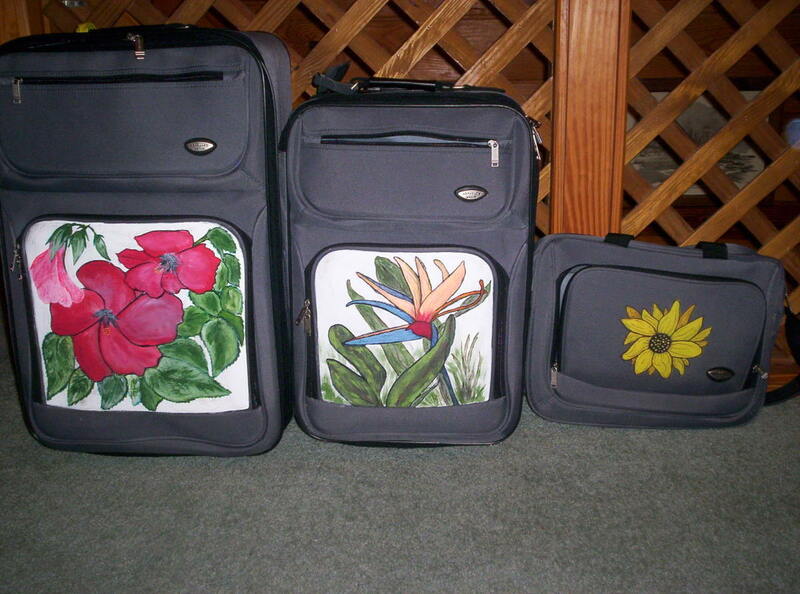 This is a fun way to use your extra paint and not throw it away. 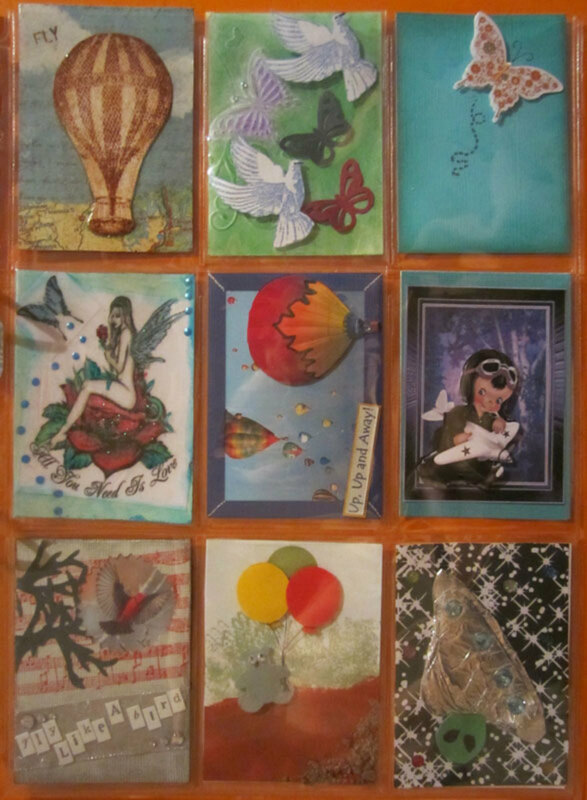 You can easily make several pieces and create an art wall gallery! 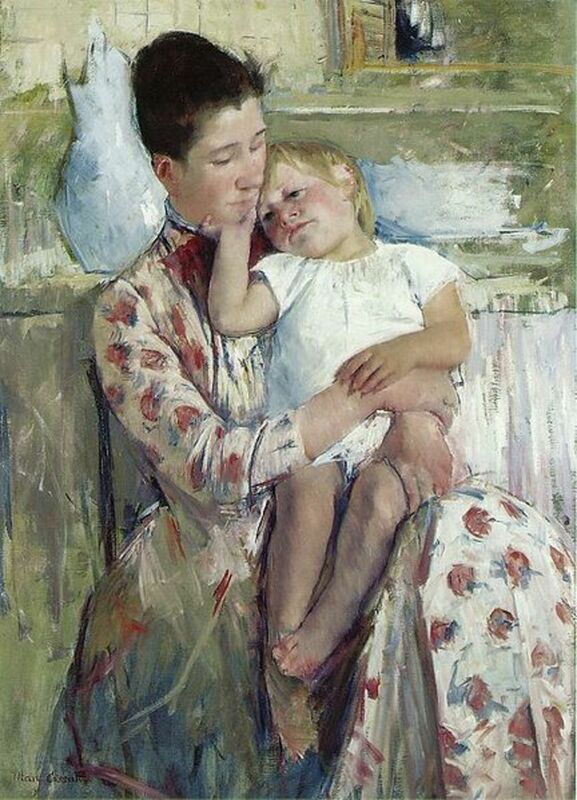 How do you find photos that can be used as a reference for a painting without risking copyright infringement? I’m presented with the “beauty” issue all the time. What galleries want and don’t want to hang; what people want and don’t want to decorate around; what is and isn’t beautiful. So what is beauty? 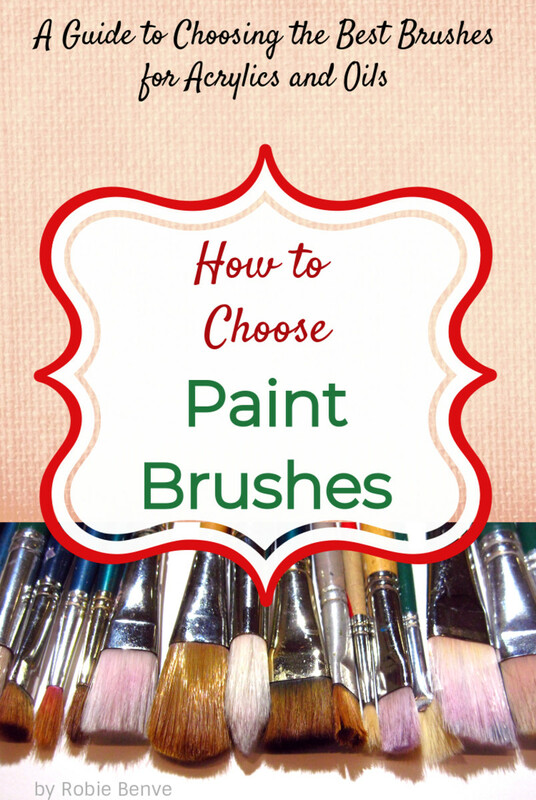 A guide for fine art painters on how to choose and use paint brushes, the best artist's working tools. 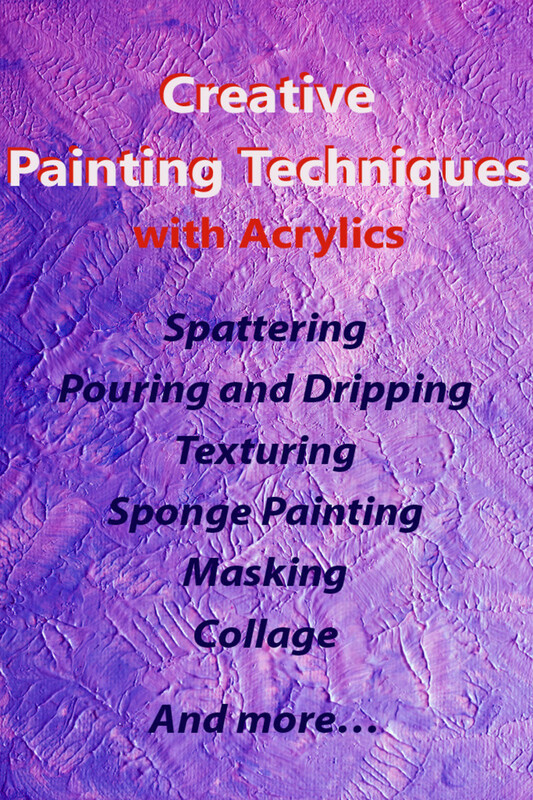 To achieve the desired painting effects you must choose the right brush for the job. 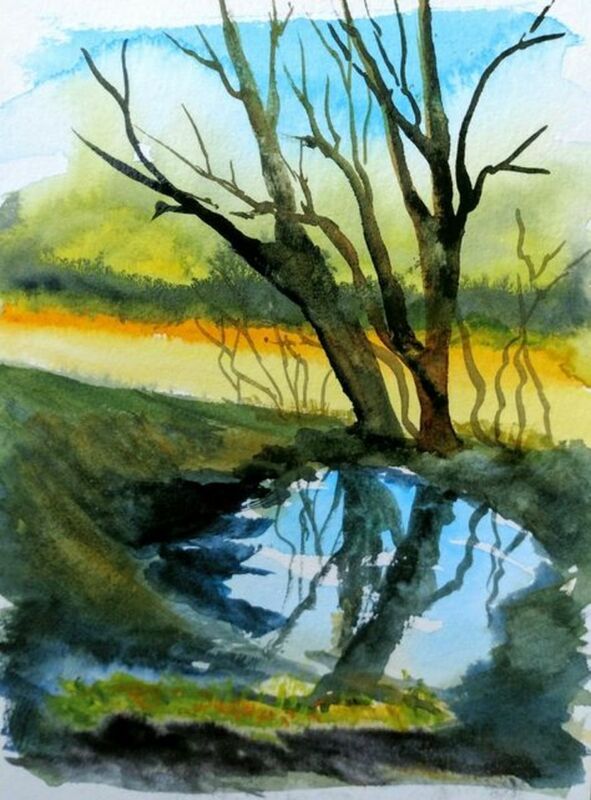 Painting tree leaves with water colour appears tough especially to the beginners. 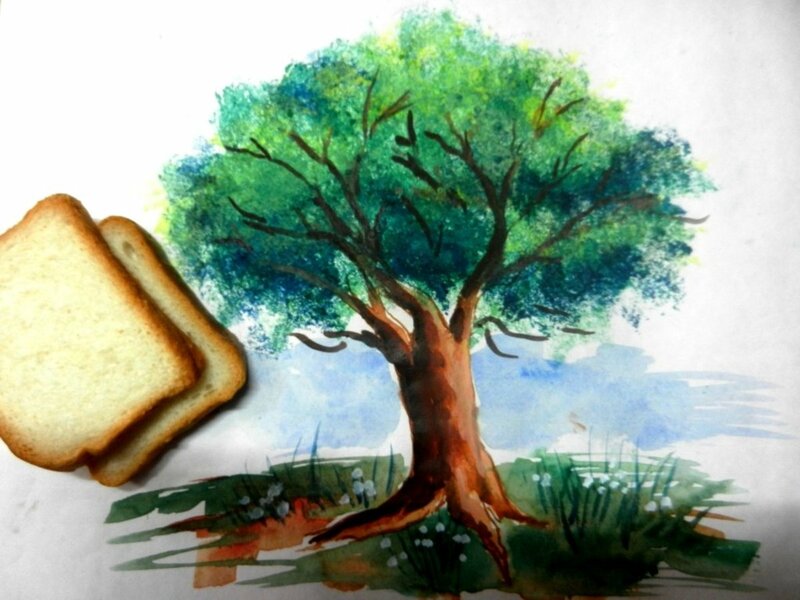 With this trick painting tree leaves will become very simple and easy. 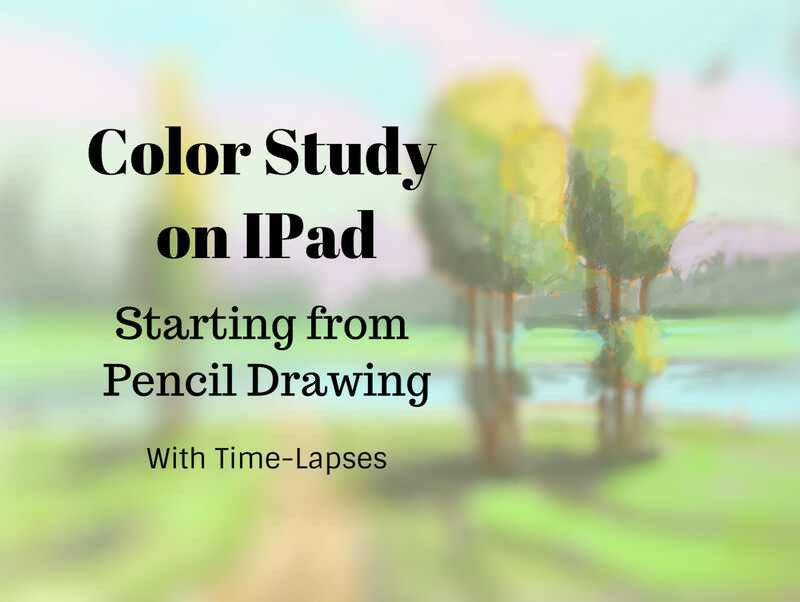 Create a pencil drawing sketch and a digital color study for an acrylic landscape painting! I've included step-by-step instructions and a time-lapse video to help you visualize what you need to do. 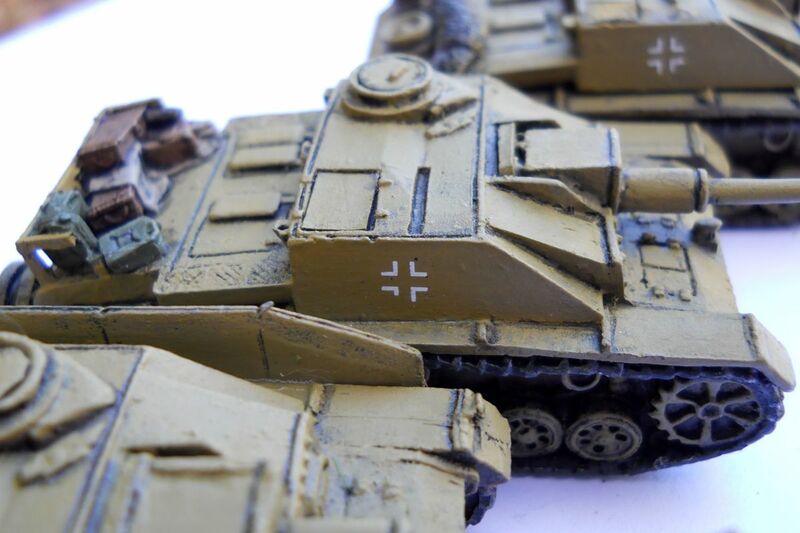 If you are tempted by boxes of miniatures and figures at your local hobby shop, or keep seeing cool figures online, and don't know how to even begin painting figures, discover what supplies you need to get started in the hobby. 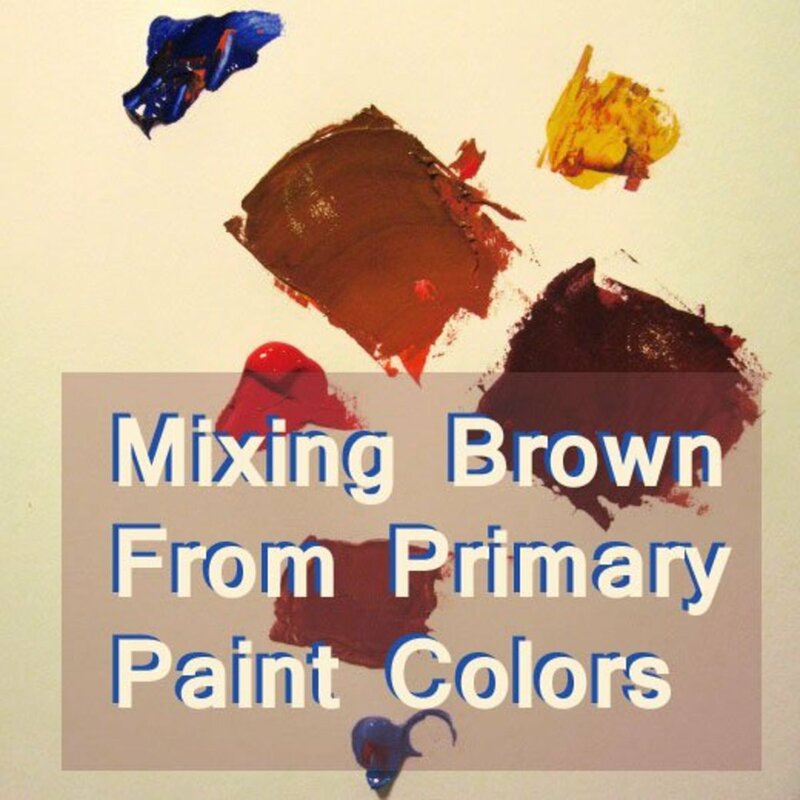 How to mix brown using a limited palette of primary colors and different colors of paint. Any shade of brown can be obtained from some kind of red, yellow, and blue. 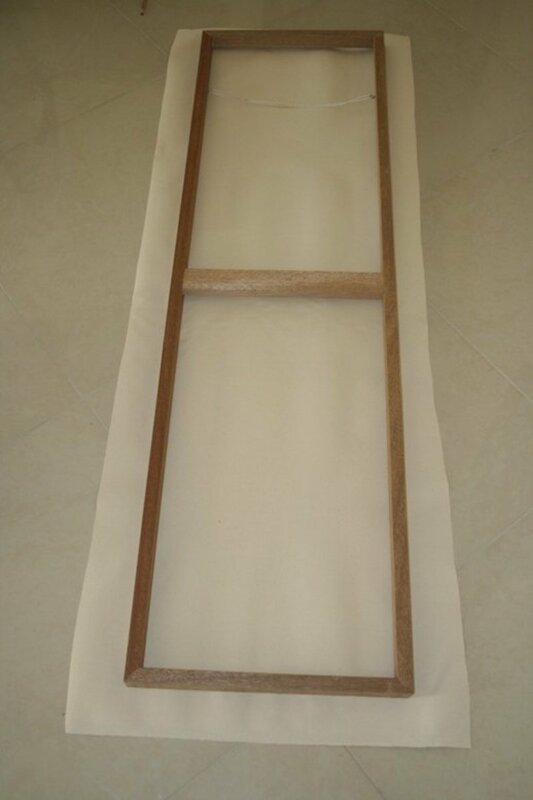 A comparison of different artist's easels detailing which easel is best for which occasion. 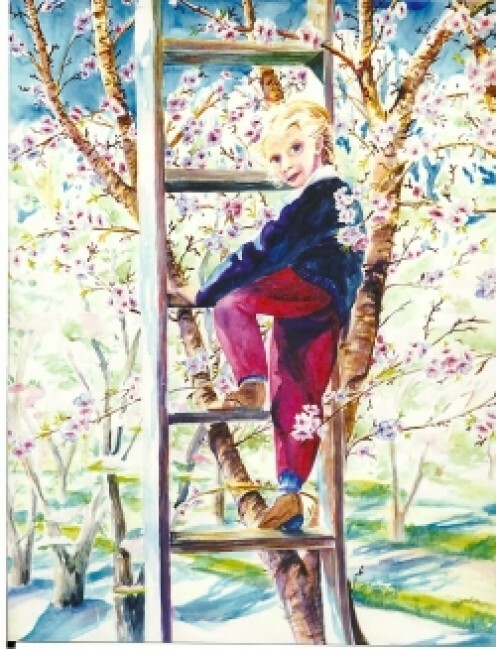 Which Artist's Easel Is Best for Pastel Paintings? 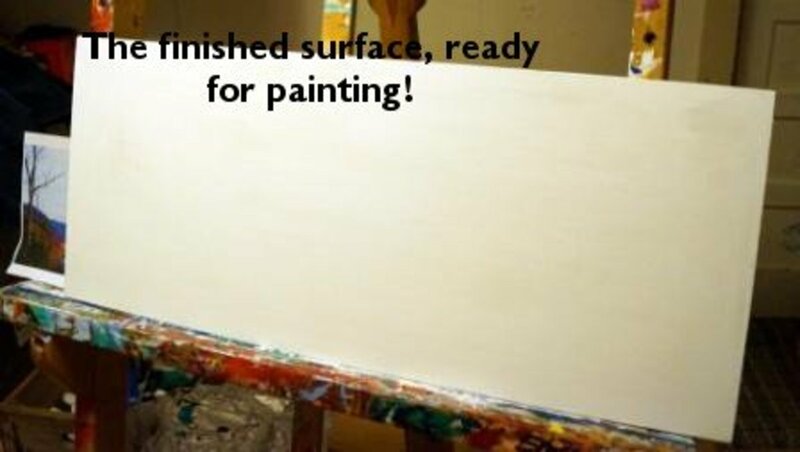 In this beginner’s guide to oil painting step-by-step tutorial, you'll learn how to turn a blank canvas into a finished oil painting. 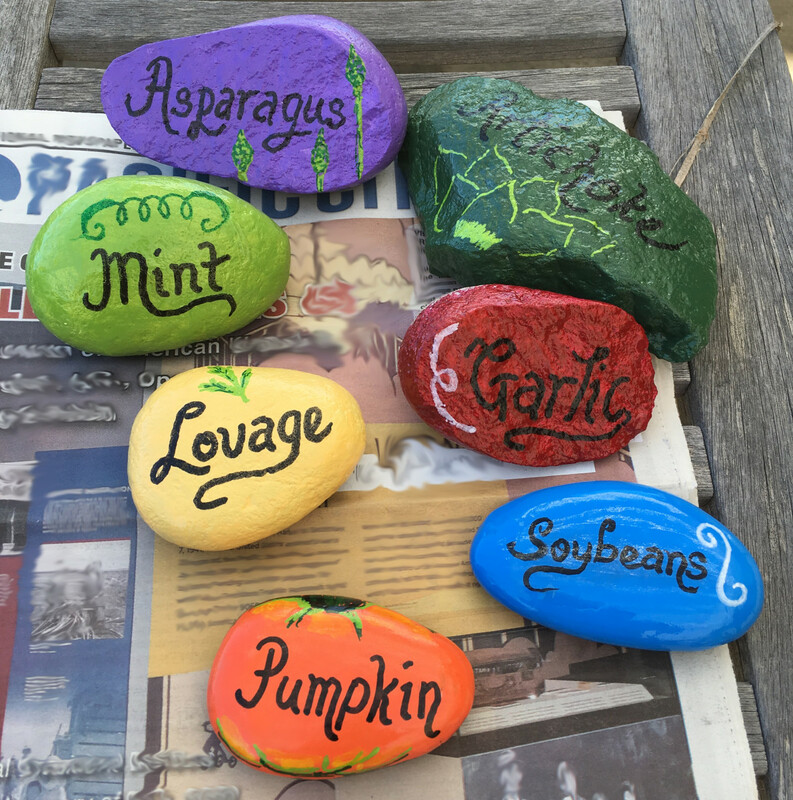 Paint stones to make custom plant markers for your garden. Easy to do and fun to make. Fine Art Tips. 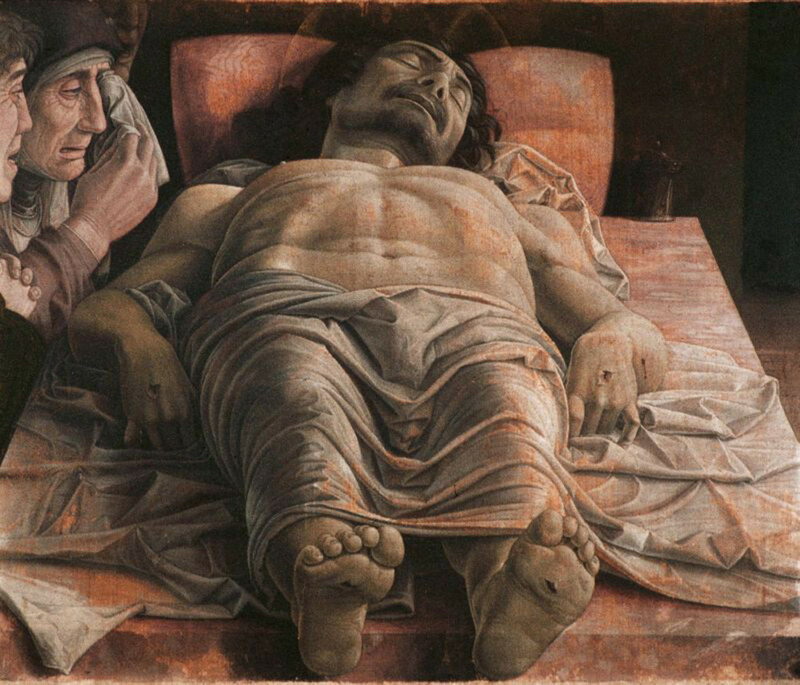 What makes a painting good? 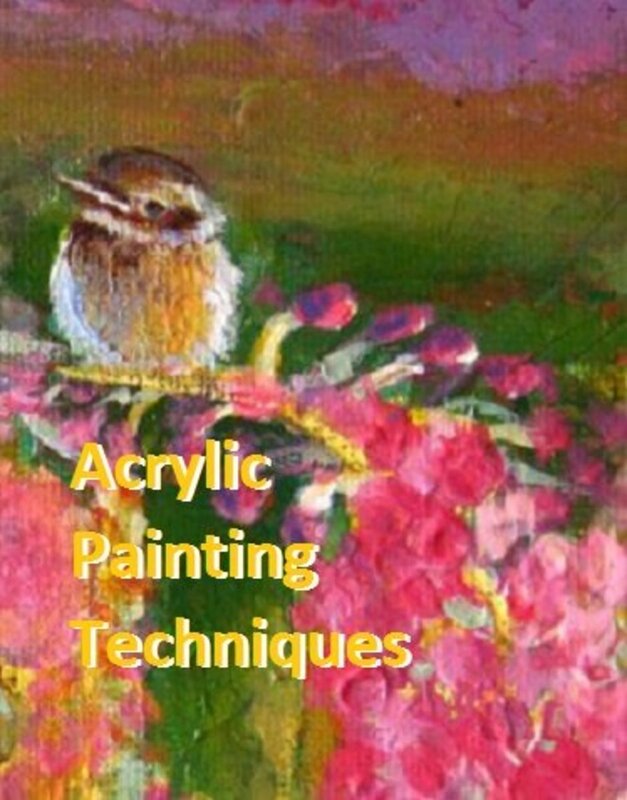 Learn what elements to include in your paintings. Focus on technique and technical aspects, personal and emotional involvement, and novelty. 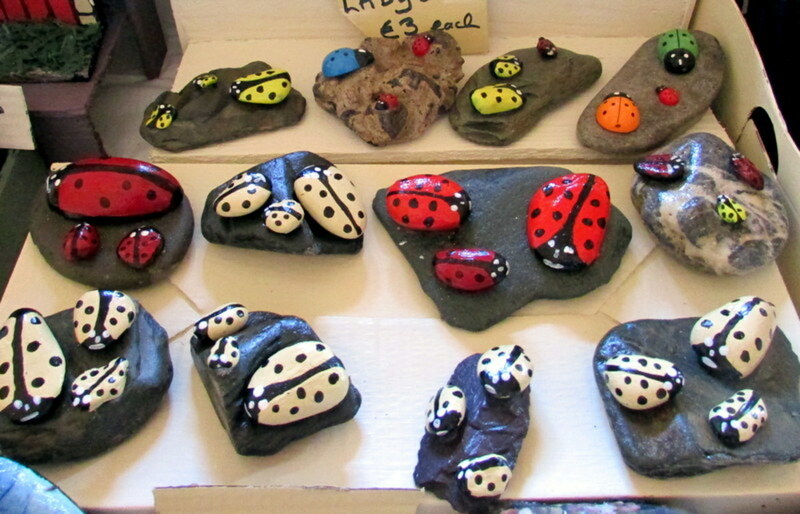 Painting rocks to look like lady bugs is a fast and easy project for beginning painters. This is a great project for rainy days when the kids are bored. 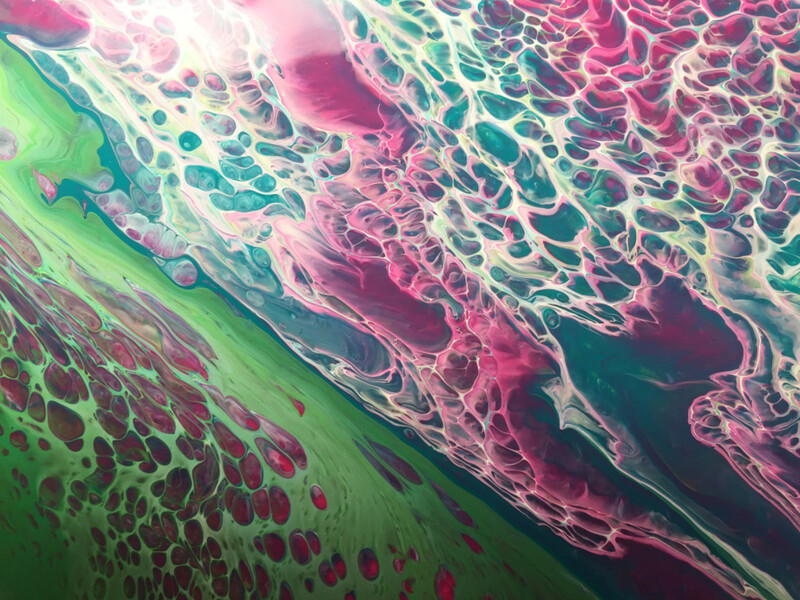 I would like to make people aware of the alternatives to paint thinners when it comes to oil painting. 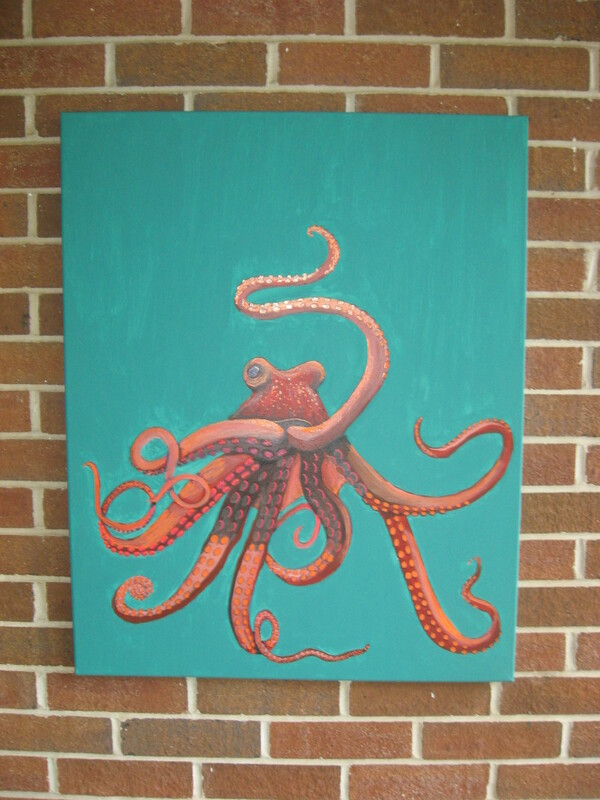 Would you like to learn about an easy way to paint in oil with beautiful results, and, without the fumes? 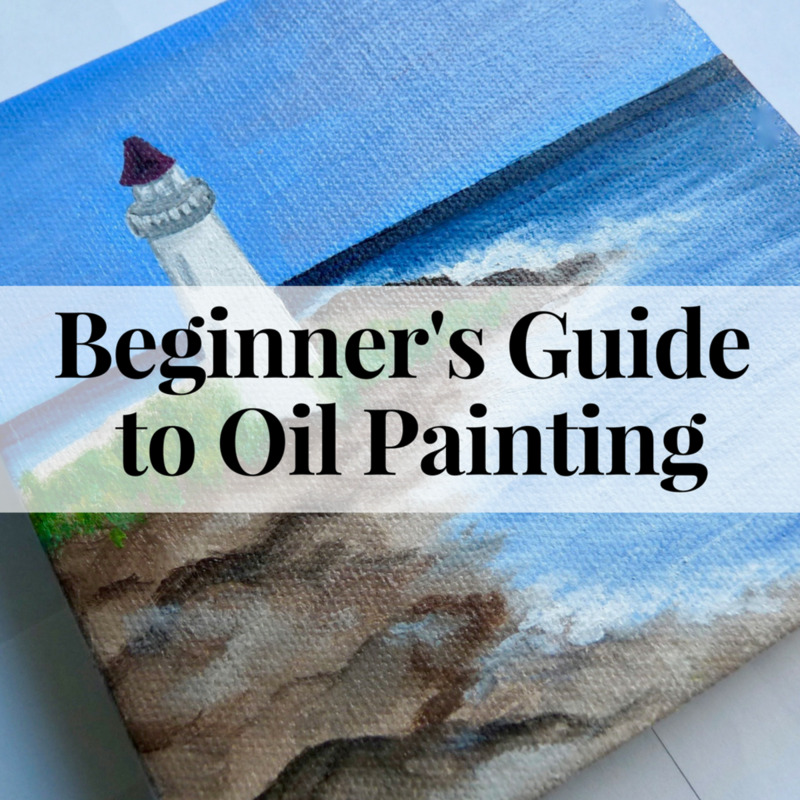 Read about it in this article about walnut oil based paints. 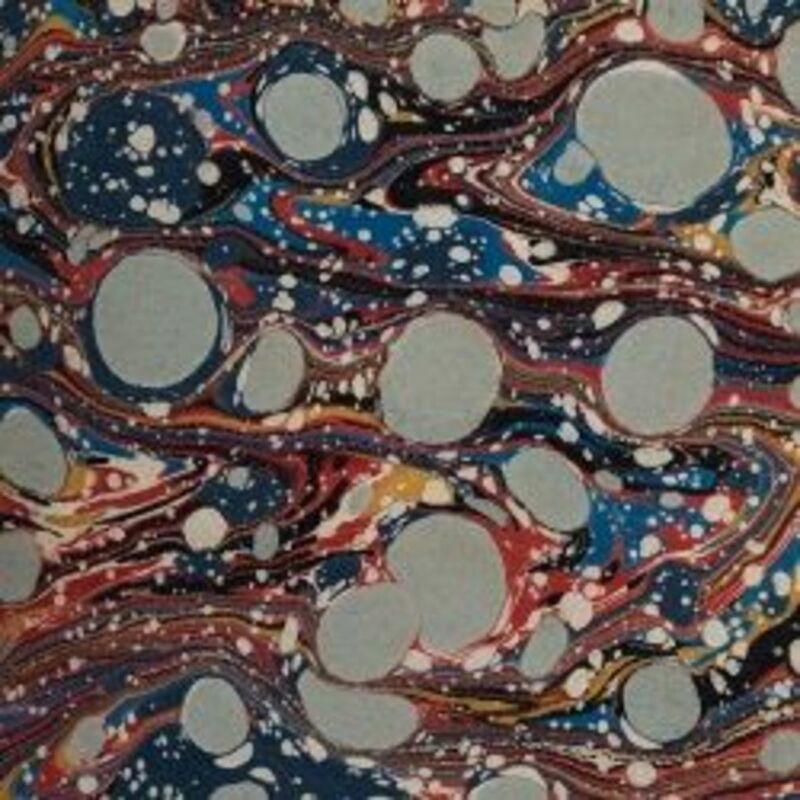 This article gives information on how to avoid having watercolor paper warp and buckle when creating a watercolor painting. Several methods and materials are discussed. 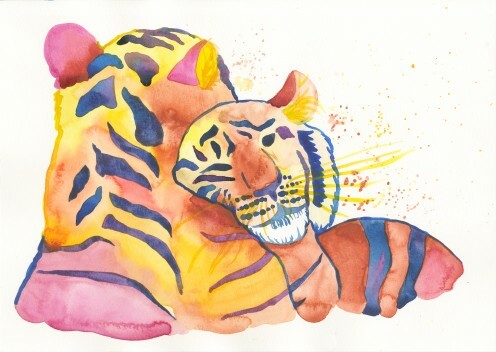 In this tutorial, I will share my tips on how to paint colorful tigers with watercolor paints! 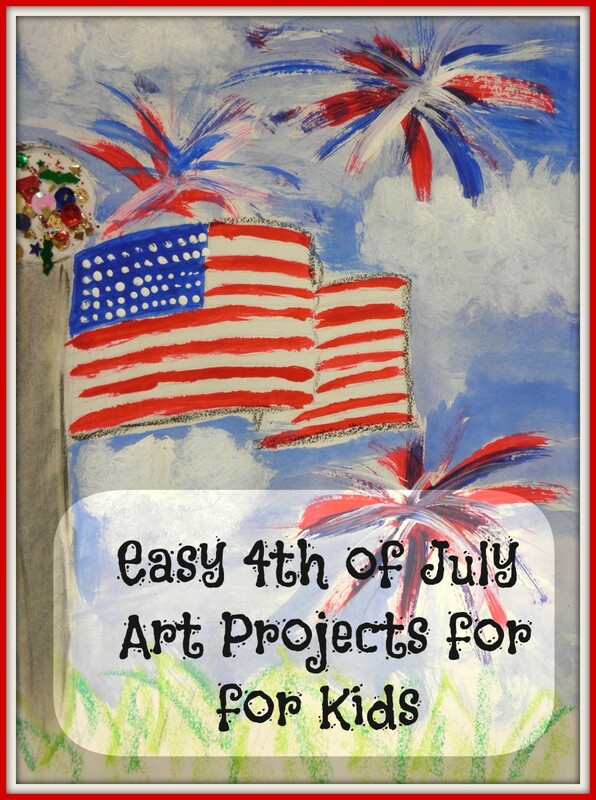 An art lesson on how to draw and paint American flags and easy fireworks for the 4th of July. 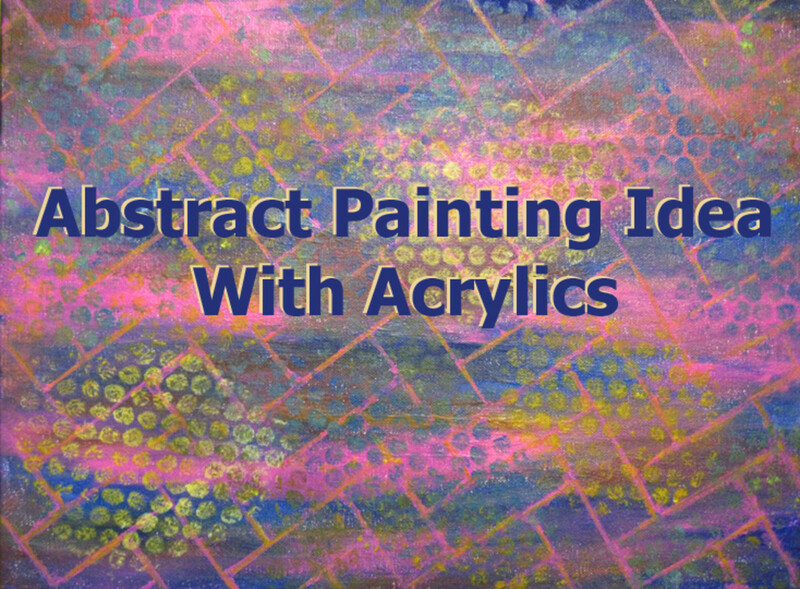 Step by step instructions on using oil pastels, watercolor and acrylic paint to create one-of-kind-art. 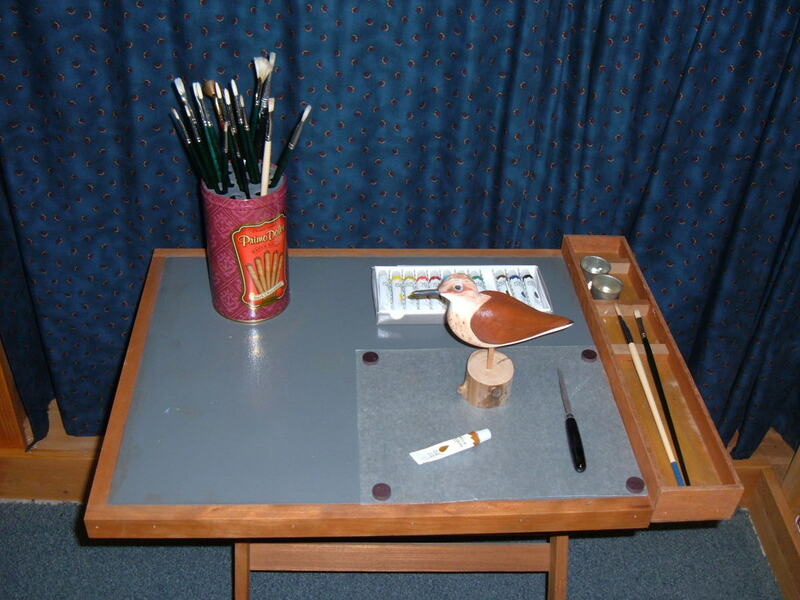 Repurpose and up-cycle a tin container into a unique and useful paint brush holder for your favorite artist. Our step-by-step instructions uses an inner stand to keep your artist neat and organized. 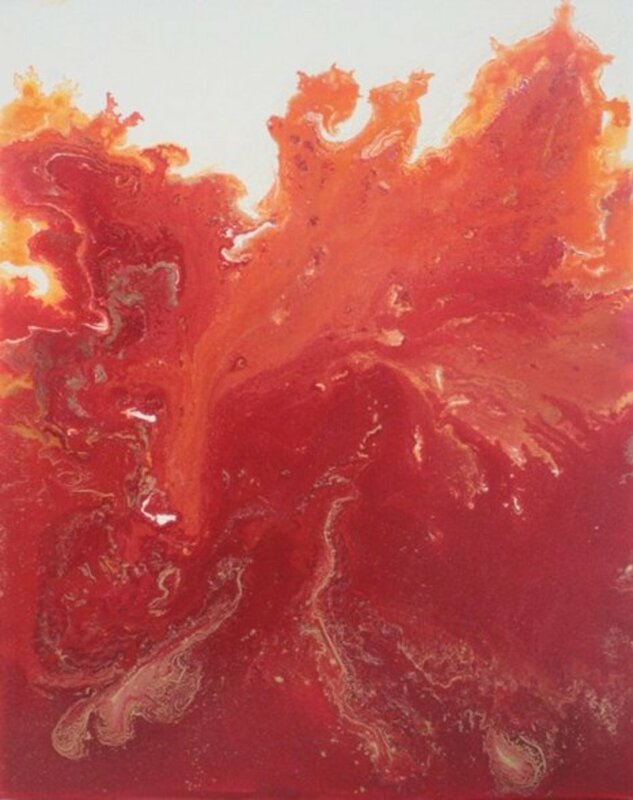 Painting fire can seem intimidating to the novice artist. 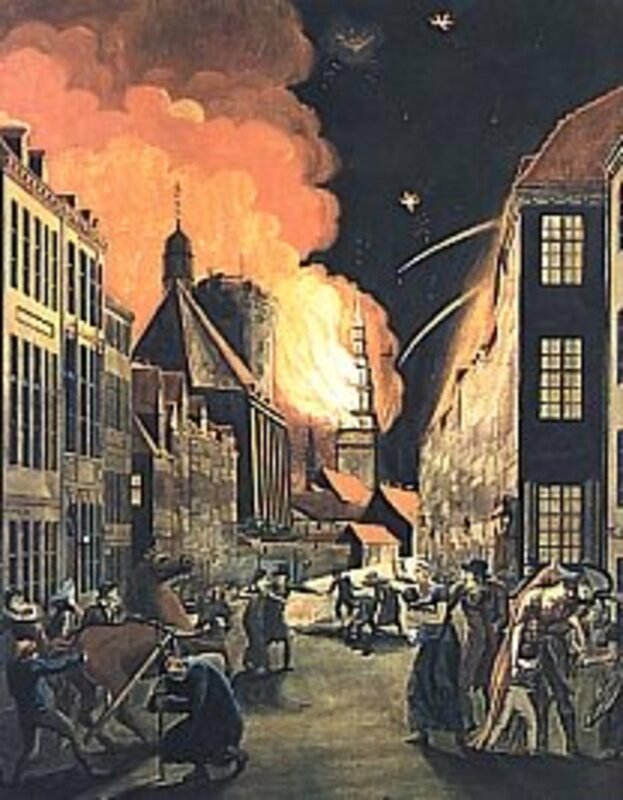 However, with a lot of observation and mastering of the basics, you can easily paint fire convincingly. This article includes some basic tips. 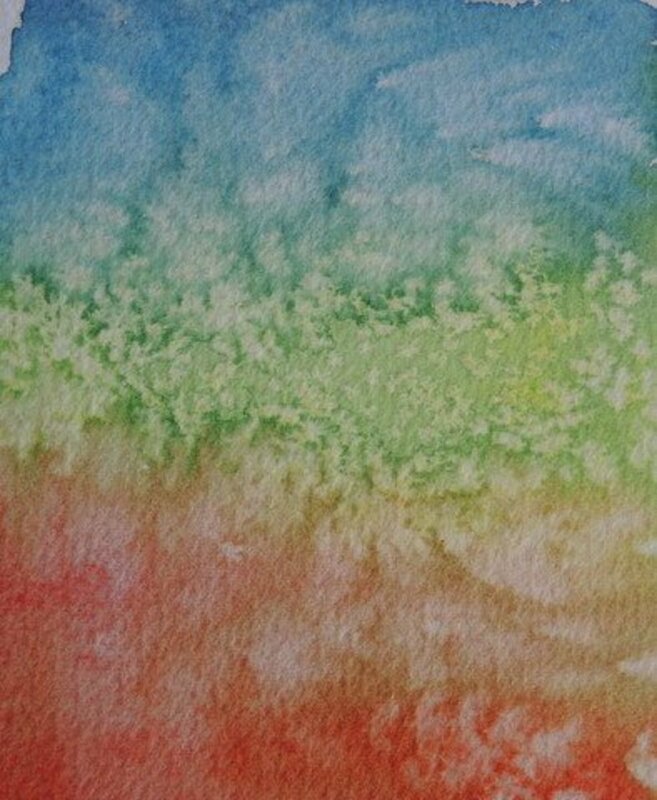 Make your watercolours more interesting by adding texture with these simple tips and techniques. 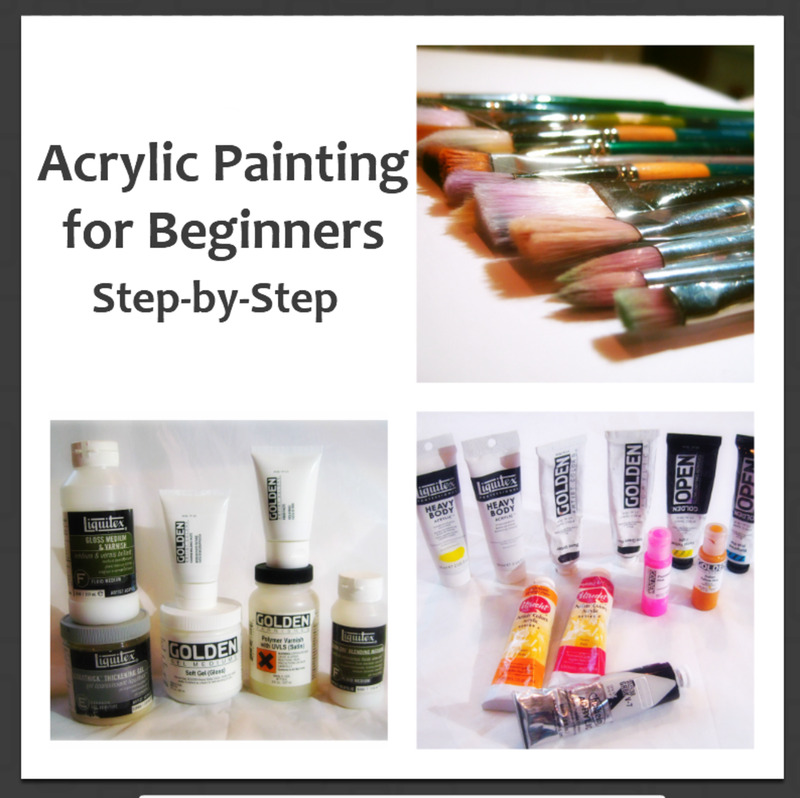 If you’d like to learn how to paint with oils, this three-part series will show you what supplies you'll need, how to prepare a canvas, choose a subject, and get started on your first oil painting. 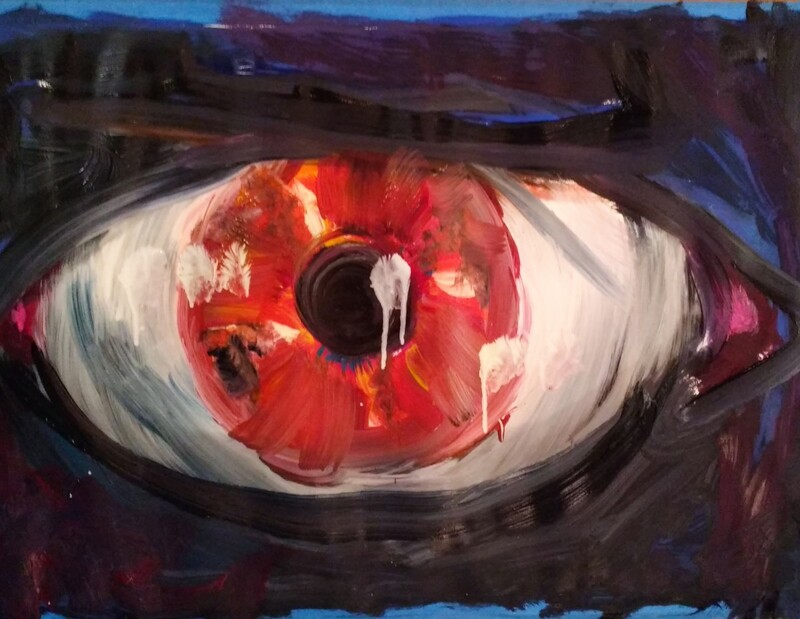 This hub is all about my experience of making a painting in a dark room. It was a crazy experience with an even crazier result! 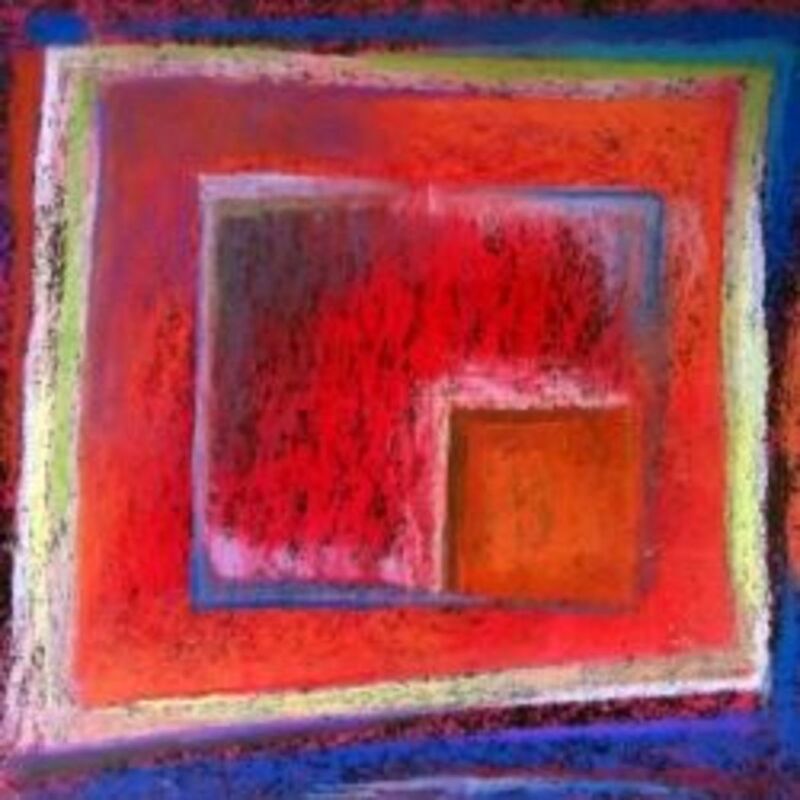 How do you represent distance and depth in art? 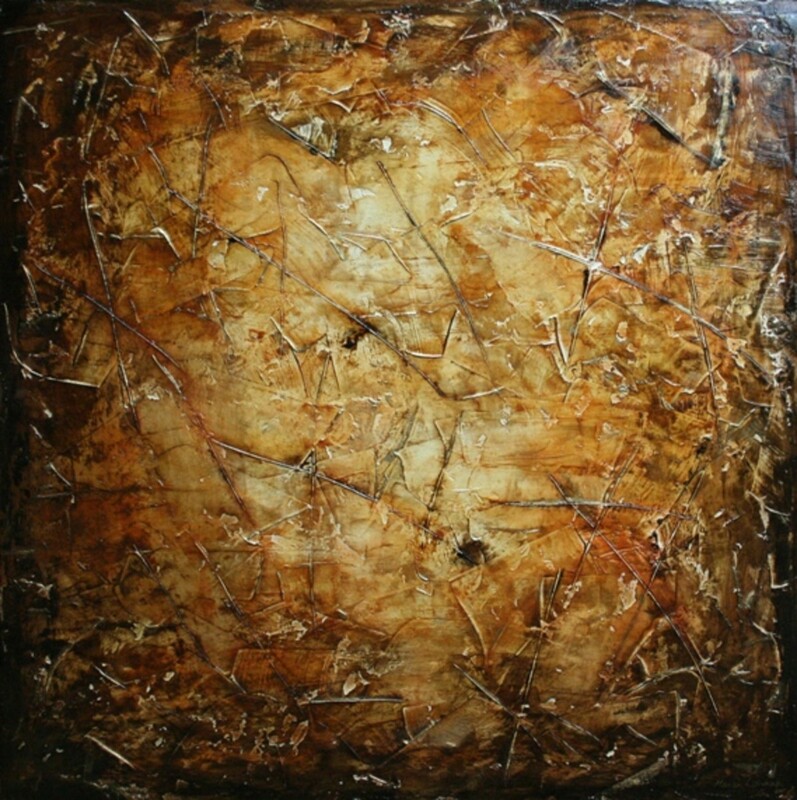 Learn aerial perspective and tips on how to render the illusion of recession in painting. 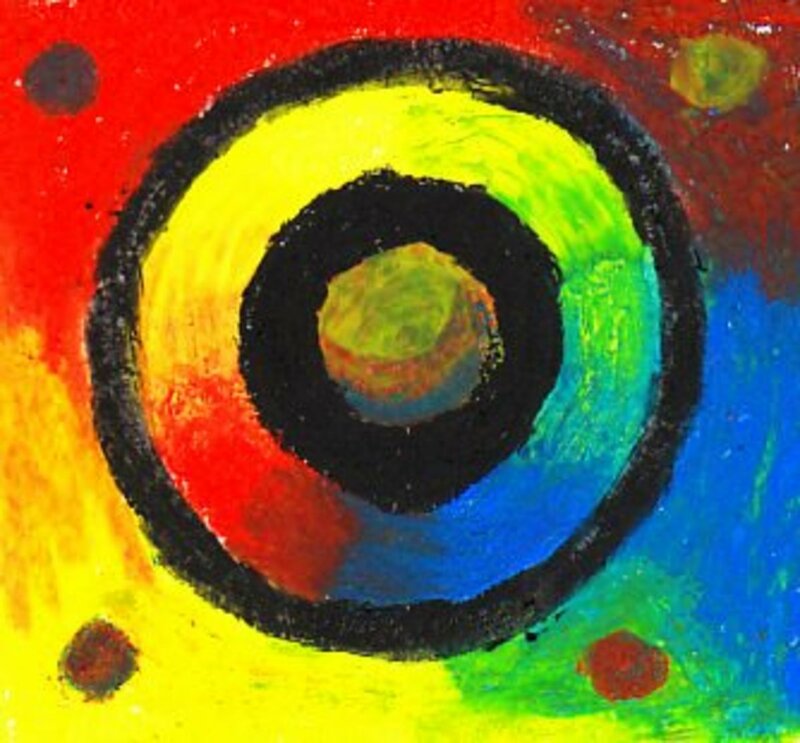 Value measures the lightness and darkness in visual art, like drawing, painting, and photography. 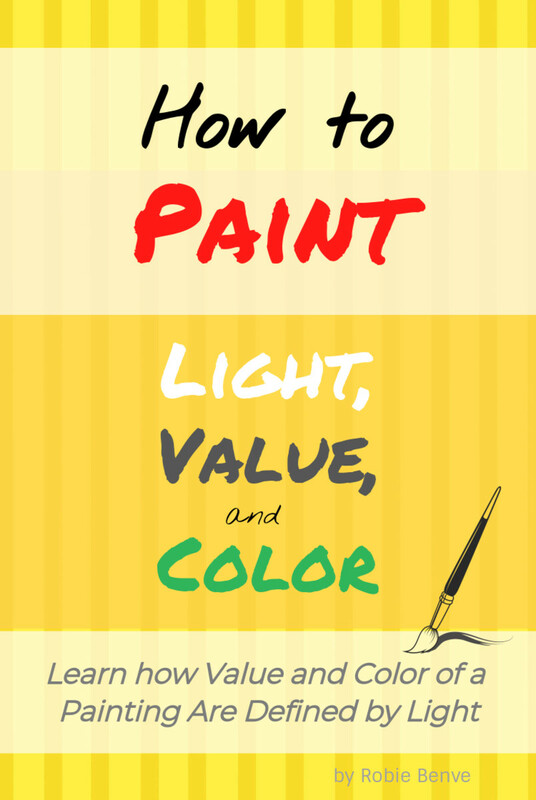 Learn how value is the key to a successful painting, not color. 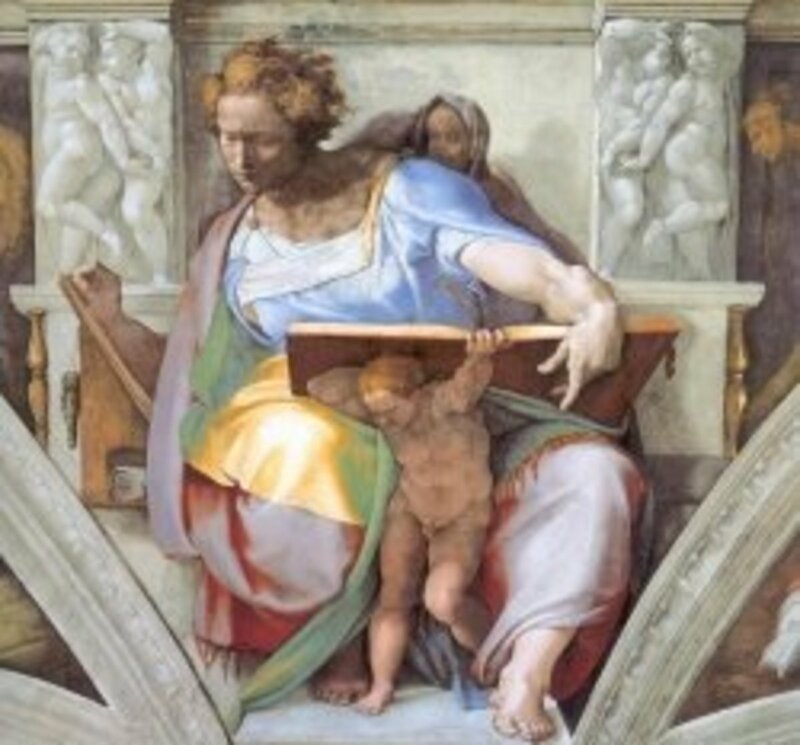 How to understand and see values in art. Painting landscapes successfully is a learning process. I learn best through visual means. So, I have shown things that will help you succeed and also provided some videos to help you learn. I love watercolor. It isn't as hard as everyone says. 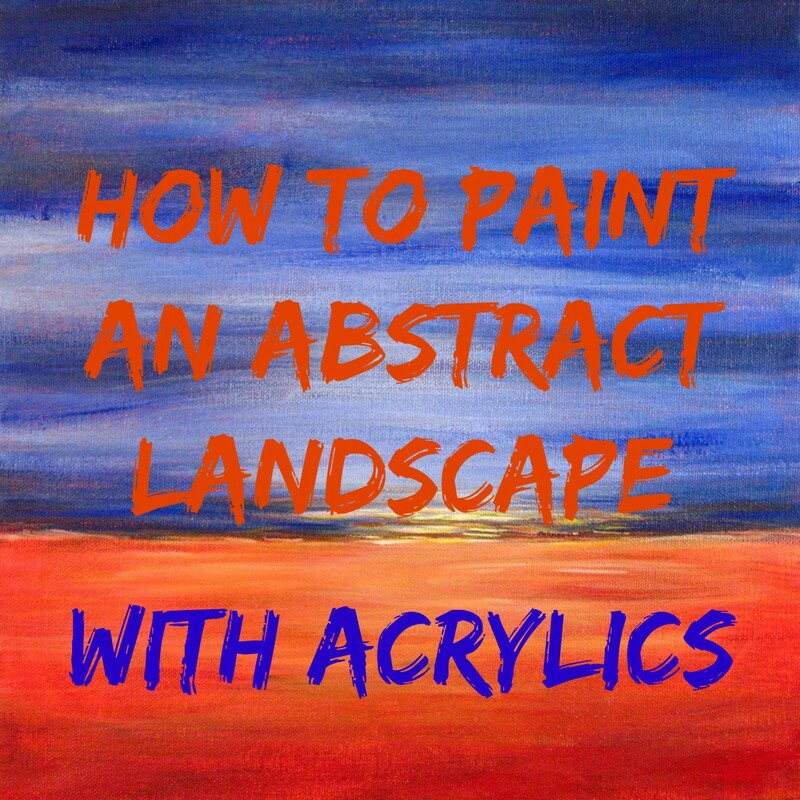 Armed with just a few simple techniques, you can be turning out some fabulous paintings with impressive skies. Come and see for yourself. 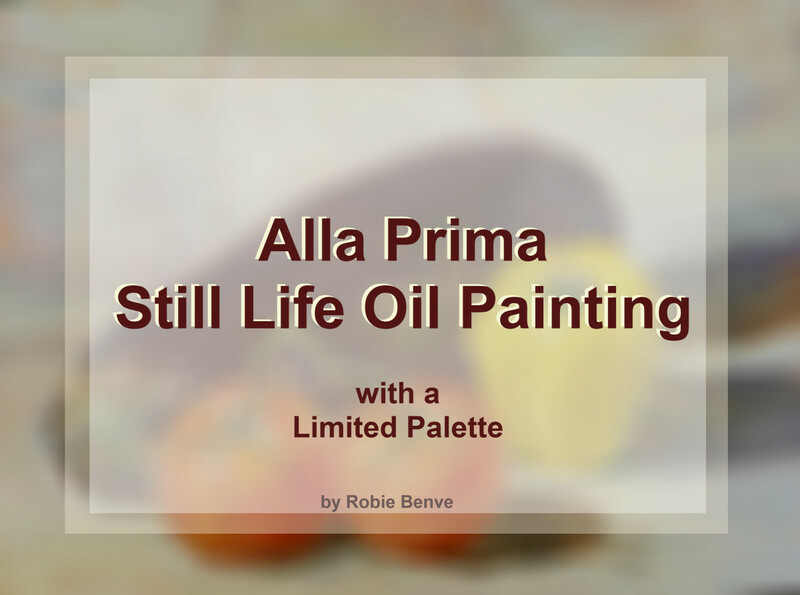 Water-Soluble-Oils have come to the rescue of people who love to paint with oils but are allergic to many of the components of traditional oil painting. Here's some help to make the transition easier. 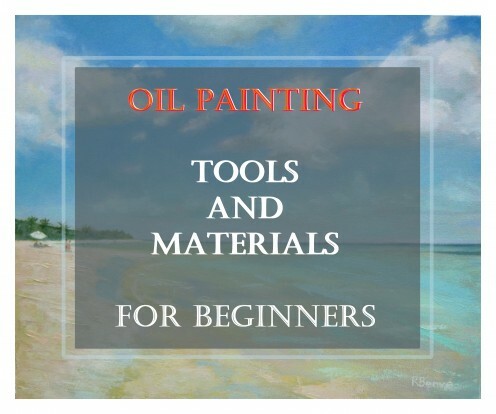 Oil painting tools and materials for beginners. 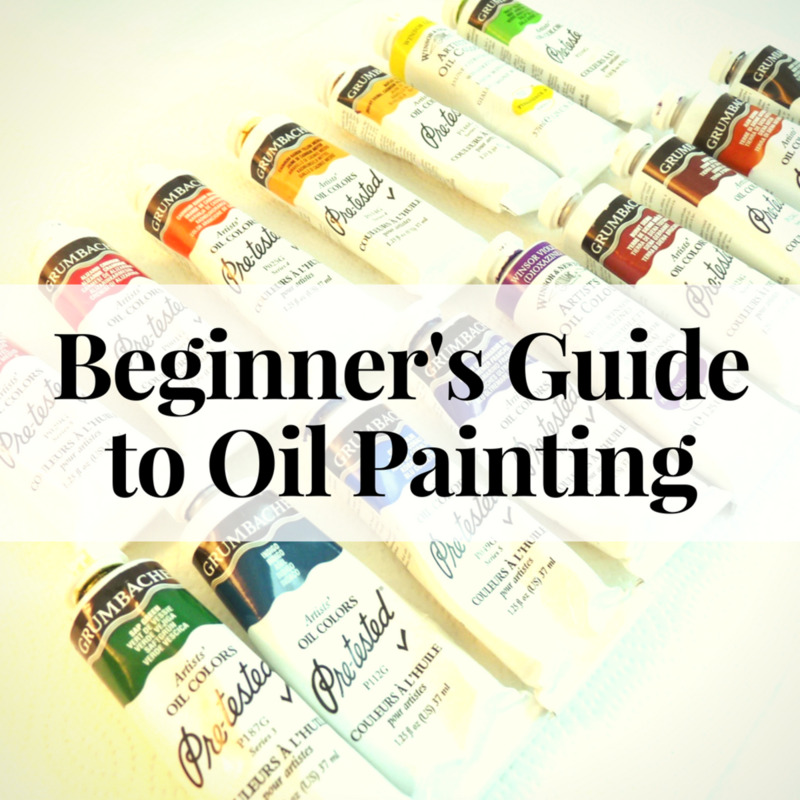 Which are the best oil painting materials and tools to buy for a new artist? 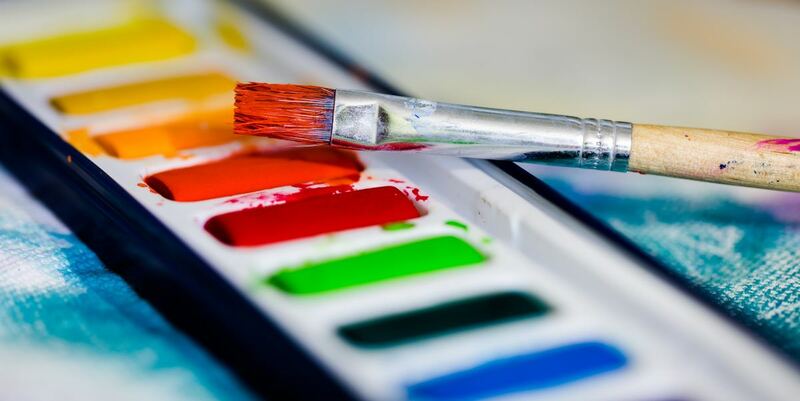 How do you choose the best art supplies? 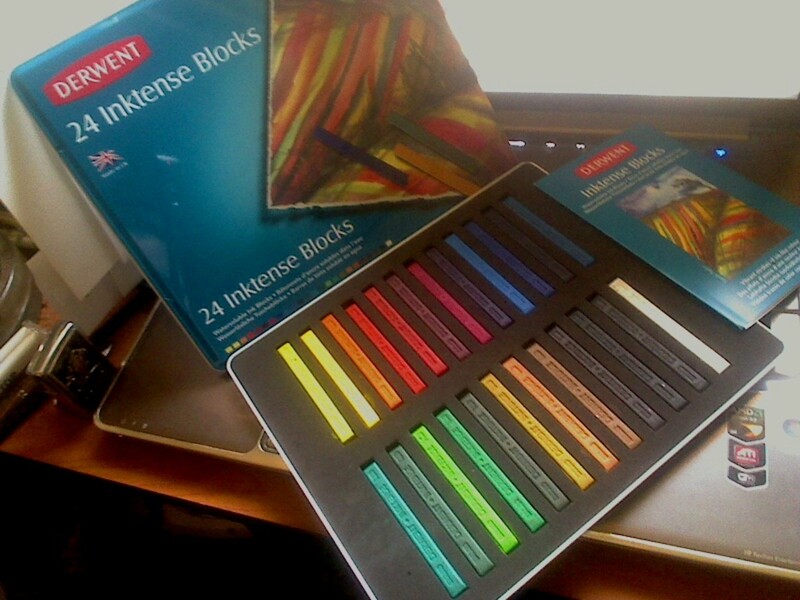 How do you avoid buying art materials that you don't need? 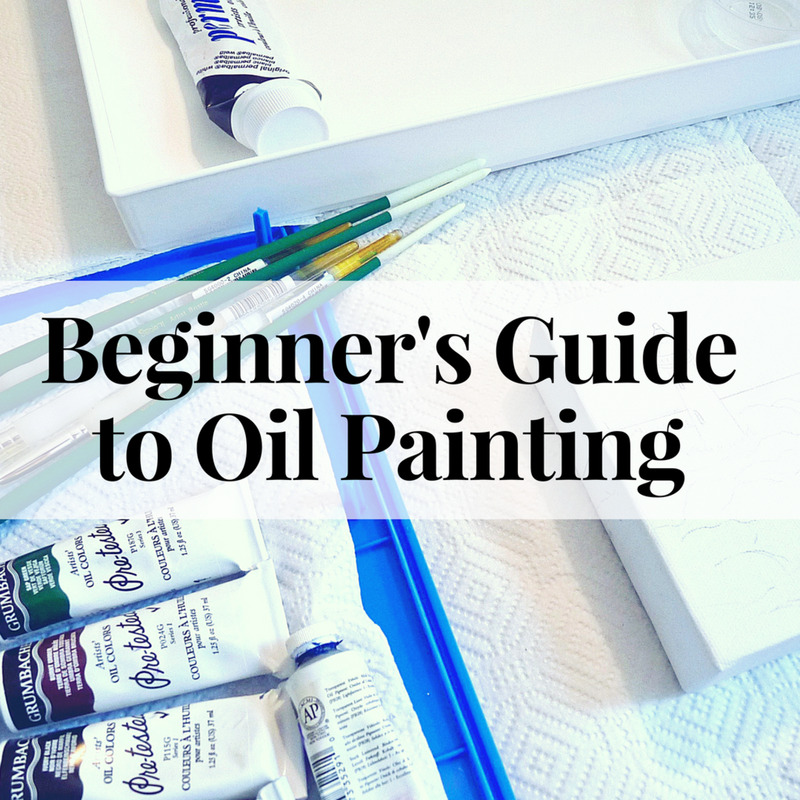 This guide will help you get started with oil painting - economically. 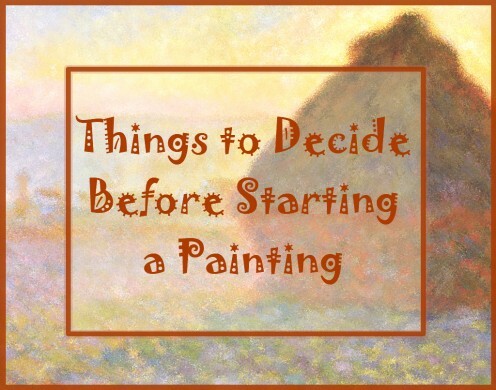 Things You Need to Plan Before Starting a Painting. 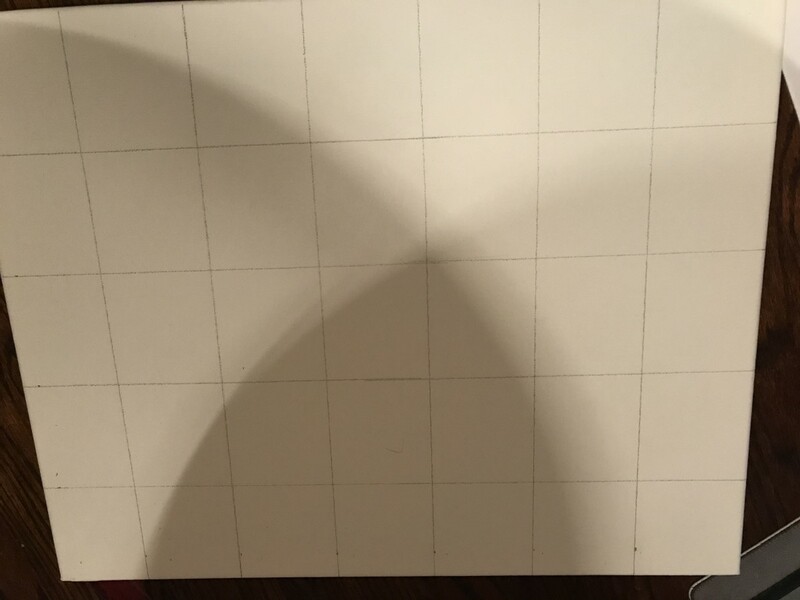 What to paint? How? With what techniques and styles? 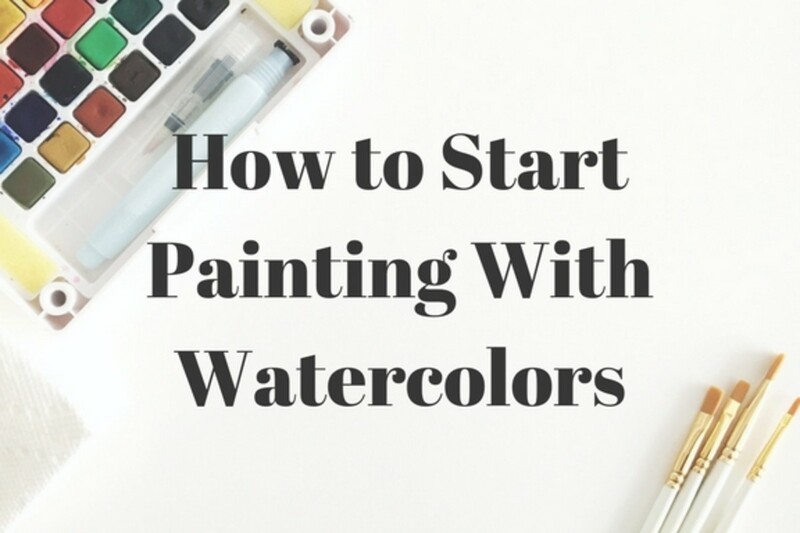 Learn how to take the most important decisions before and during the painting process. 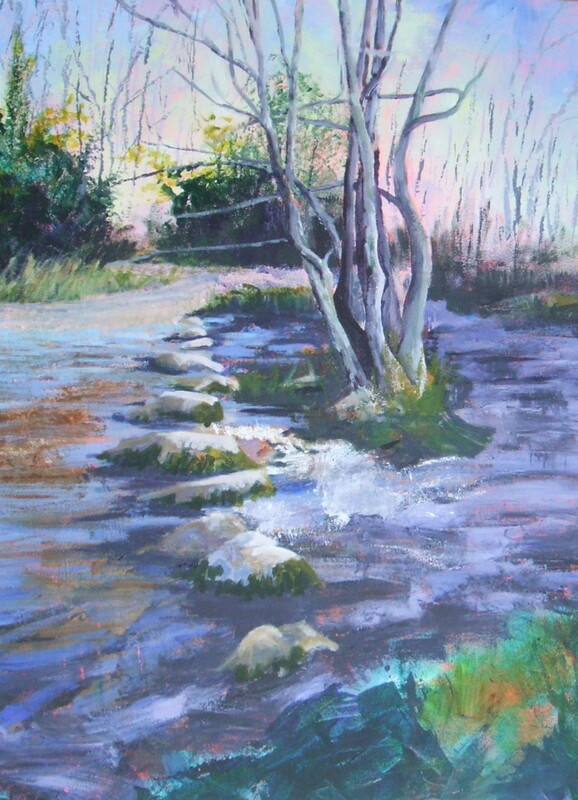 If you are used to painting in the studio, the first few paintings you do outdoors are going to be very challenging. 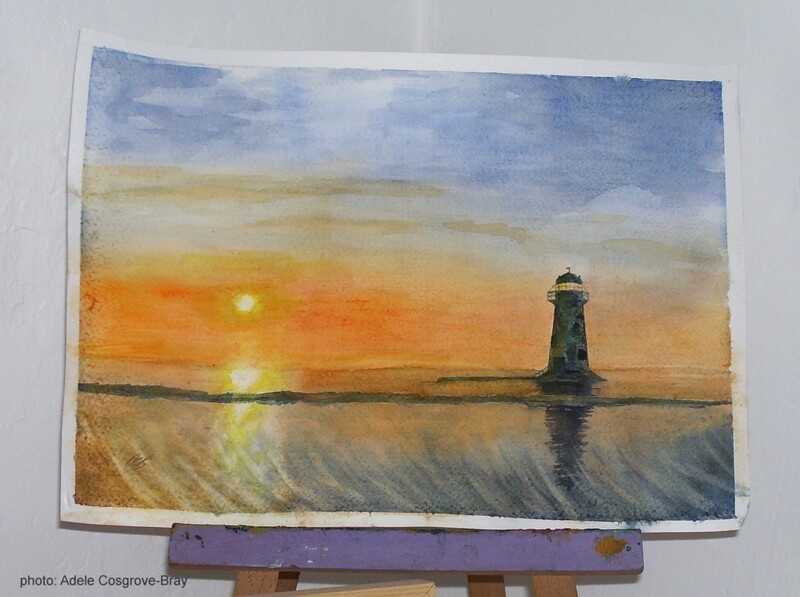 However, painting en plein air can be a great experience and teach you a lot. 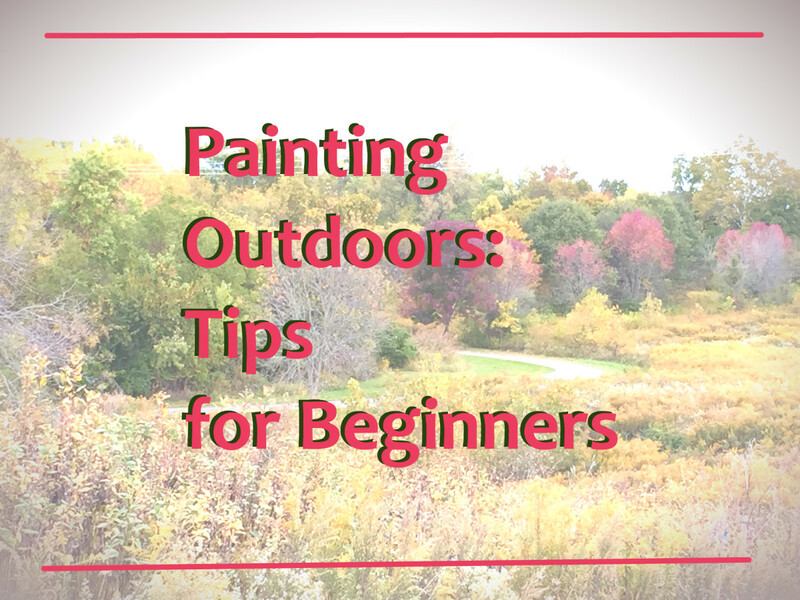 Here are 11 tips that can help you make outdoors painting a little easier and more successful. 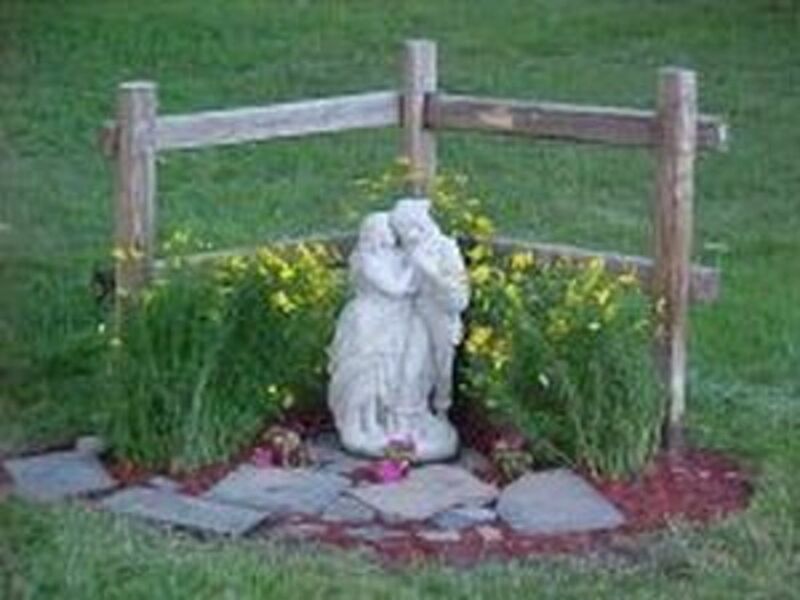 Concrete lawn ornaments can really spruce up your yard. Whether you want to touch up a worn ornament or paint one from scratch, I'll tell you what you need to know. Learn how making thumbnail sketches and using them as value studies helps you create winning painting compositions. How to sketch the value and tone relationships, create an interesting composition by testing out value and tone of your masses. 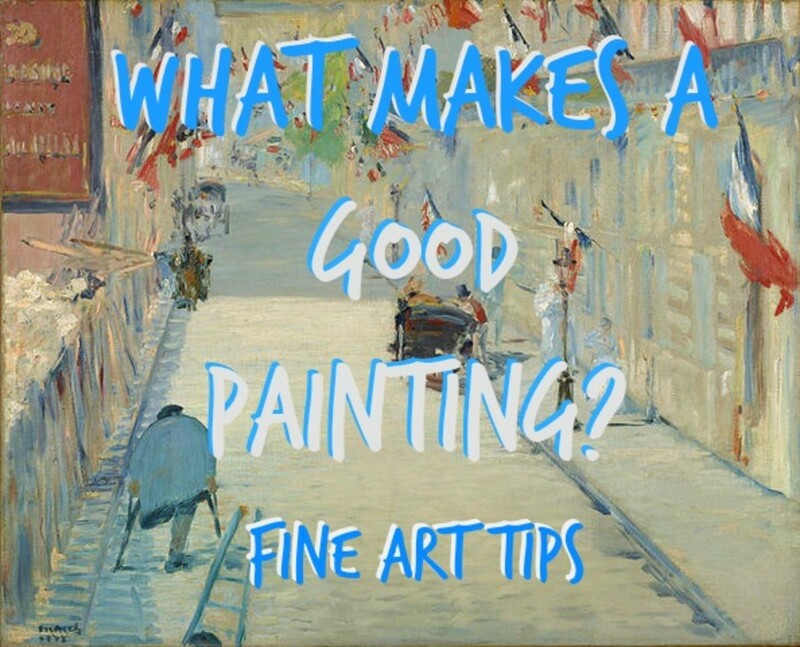 Tips to plan a good painting. 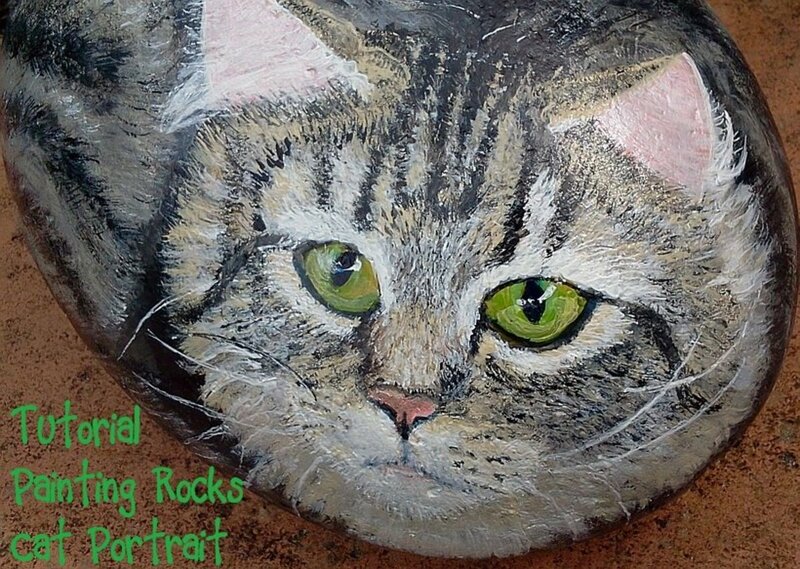 Paint a rock cat, step-by-step - detailed description and over 30 photos. 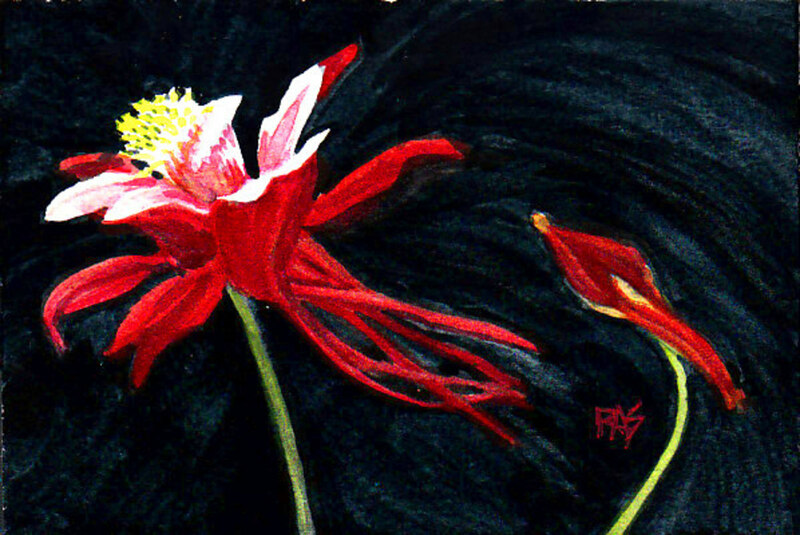 Pros and Cons of Plein air painting. A lot of artists think that painting landscapes on location is the best way to go. 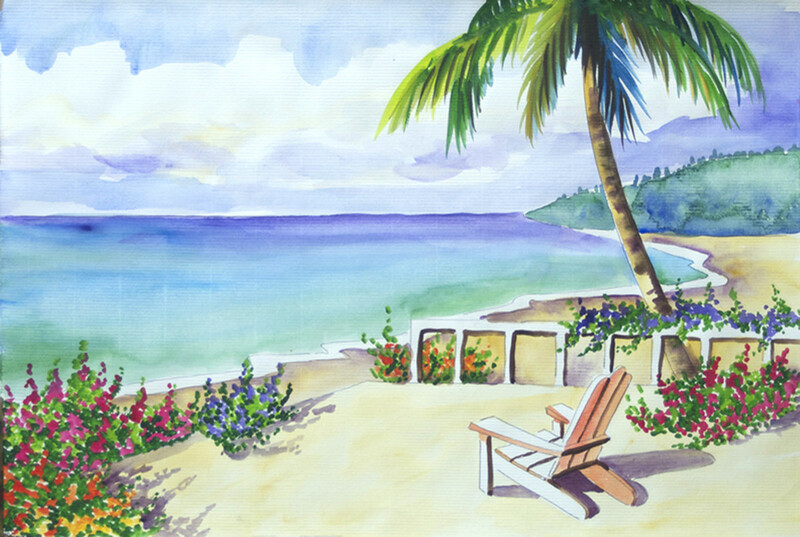 Learn about the advantages and challenges of painting outdoors. Would you enjoy it? 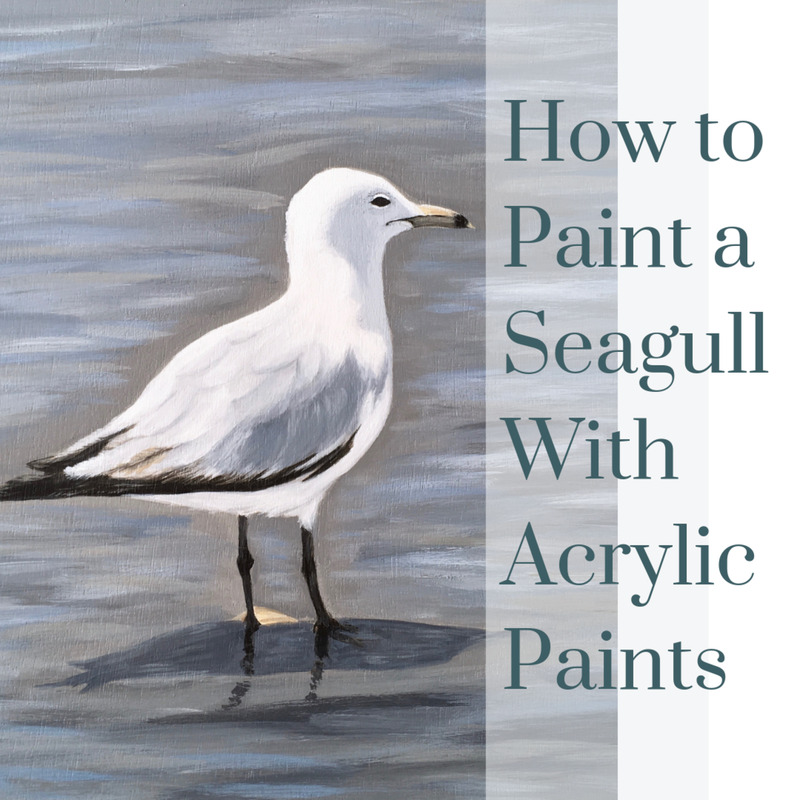 Plus, tips to help you have an easier and more successful outdoor painting experience. 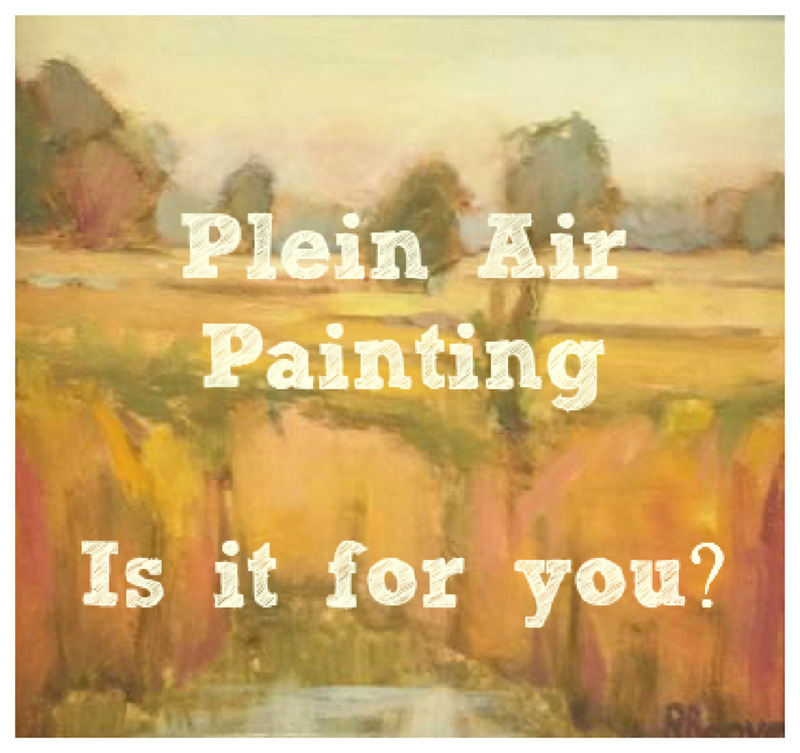 Advantages and Challenges of Plein Air Painting - Is It for You? 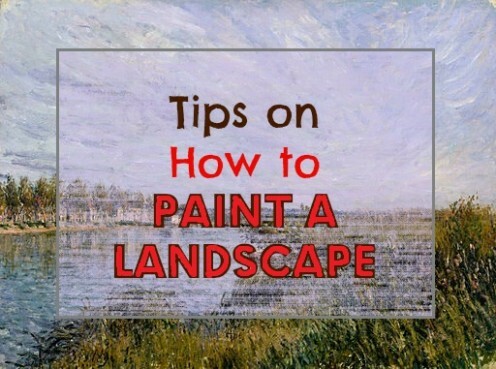 How to improve your landscape paintings. 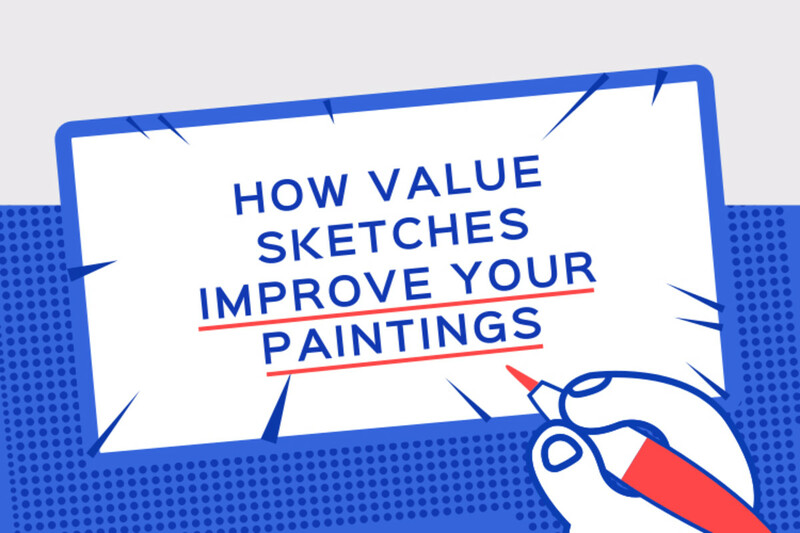 A list of eight practical and helpful tips to help you improve your artwork. Detailed explanation of the mother color painting technique, a great way to create color harmony. Learn about how to pick the mother color and how to mix paint harmoniously, unifying the color scheme. 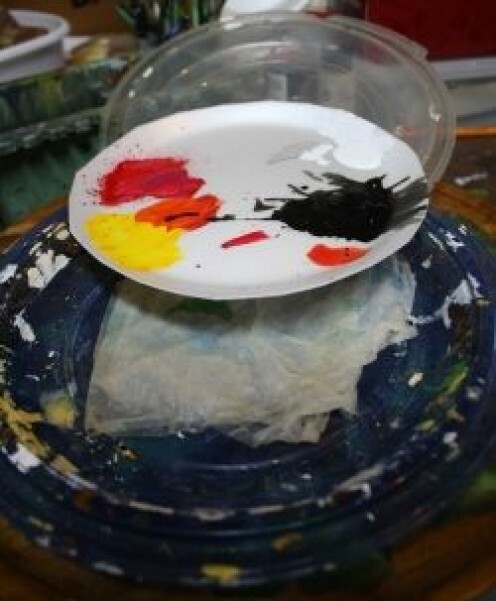 What are the 13 most common beginner painters' habits to avoid? 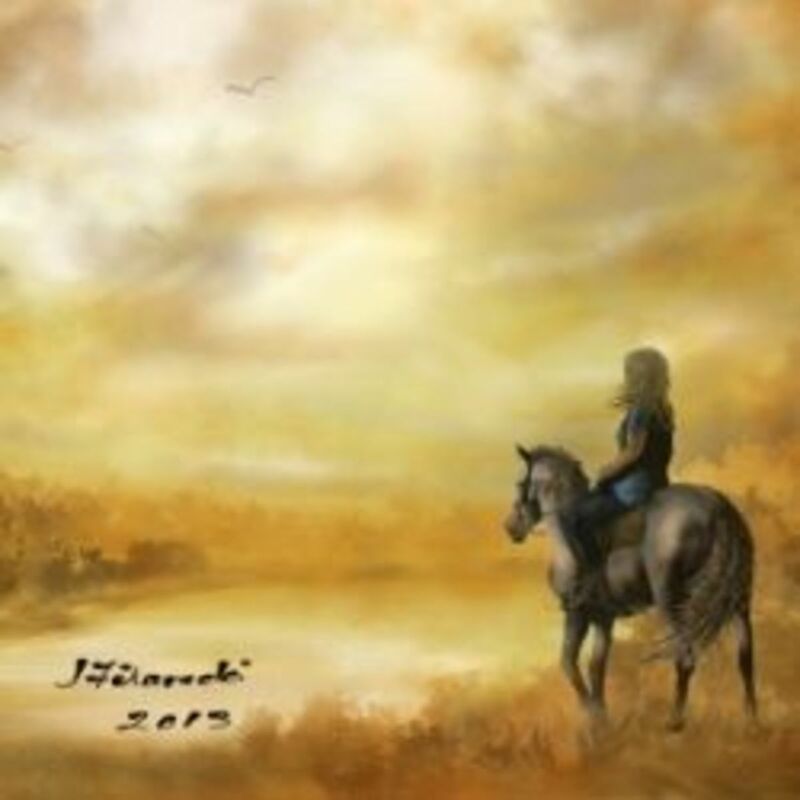 Keep from creating paintings that look amateurish or mediocre. Know what not to do in order to take your work to the next level. 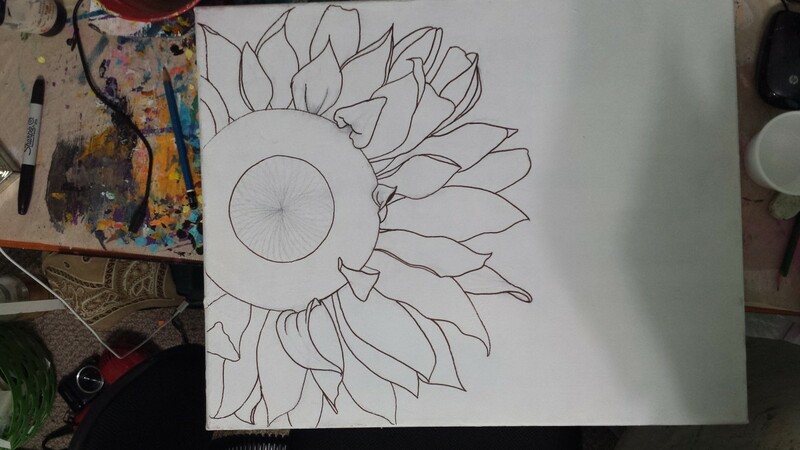 The way elements are arranged in the picture acts as the armature and supporting structure of a painting. 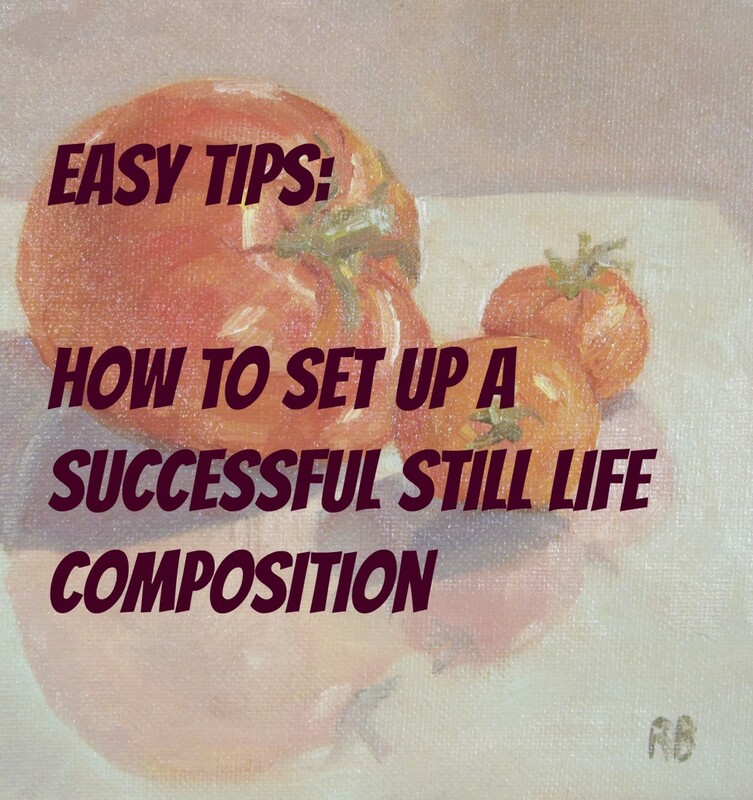 To make a piece successful and interesting for the viewer, plan a composition with a strong value structure. Squinting helps. Seeing simplified shapes, it’s easier to “see” the composition. 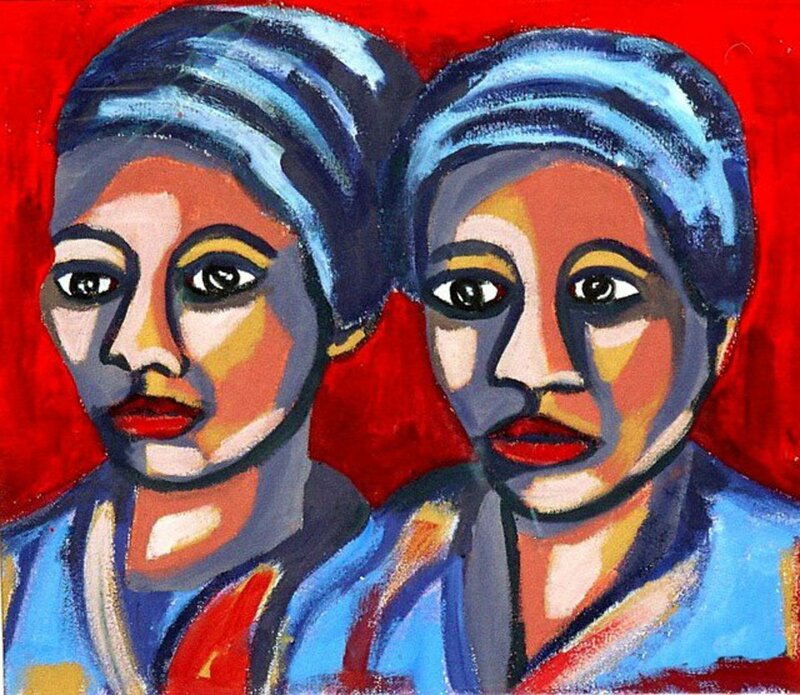 Can you happily create representational paintings but despair at the thought of attempting something that isn't supposed to BE anything? If so, then you are not alone, help is at hand. 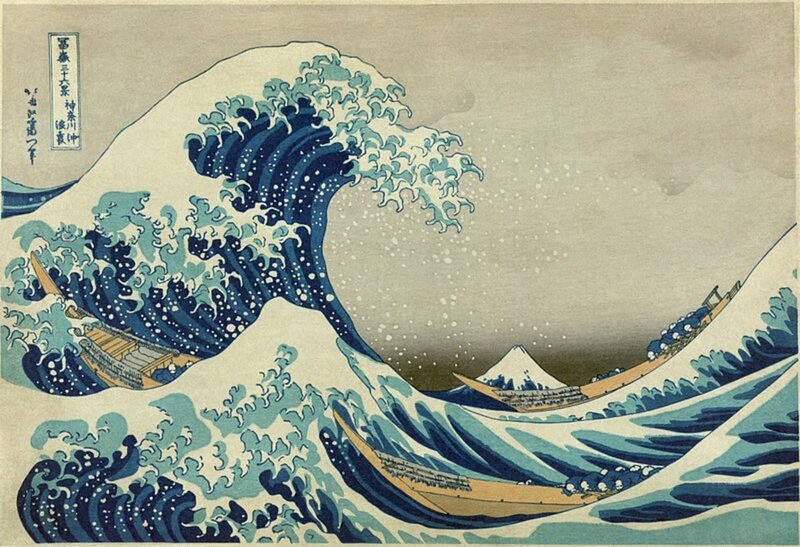 One of the most recognizable subjects in Japanese art are the giant waves that lap its shores. 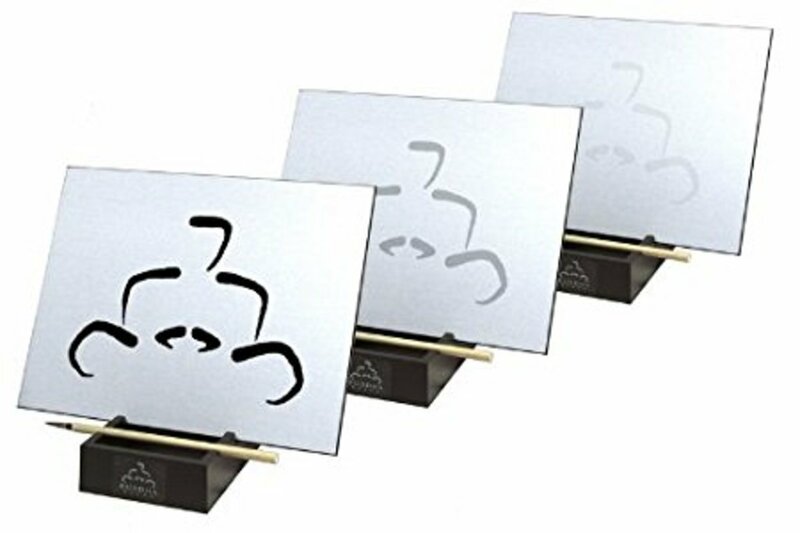 These waves have been famously depicted in Hokusai's "The Great Wave off Kanagawa", which is widely regarded to be the most famous ukiyo-e print of all. "Japanese Wave Paintings" explores this and other works of Japanese art that depict these gigantic waves, as well as their meanings and history. 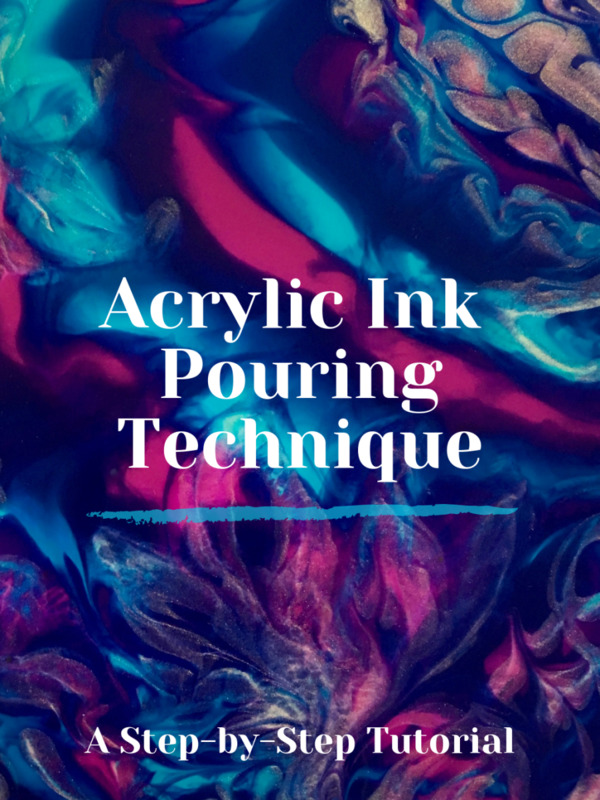 Art tutorial for sealing and protecting your alcohol ink projects on yupo paper and ceramics. 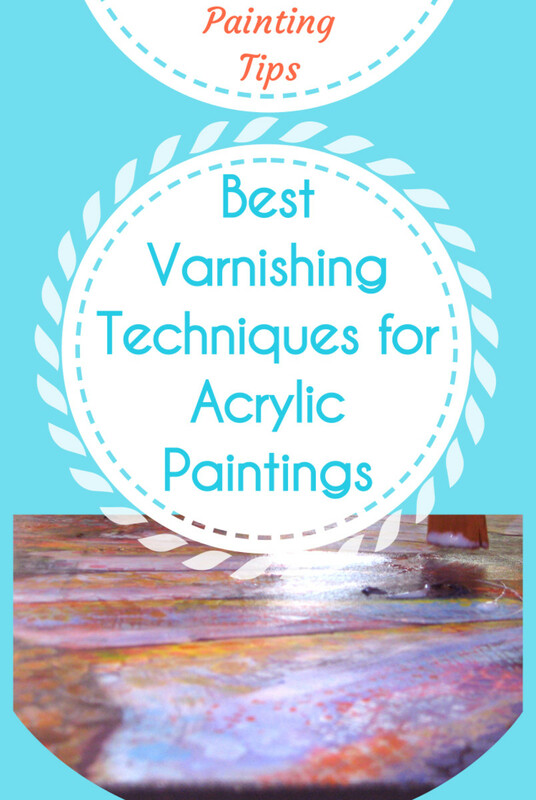 Learn three ways to best preserve your artwork from fading, discoloring and prevent yellowing over time. 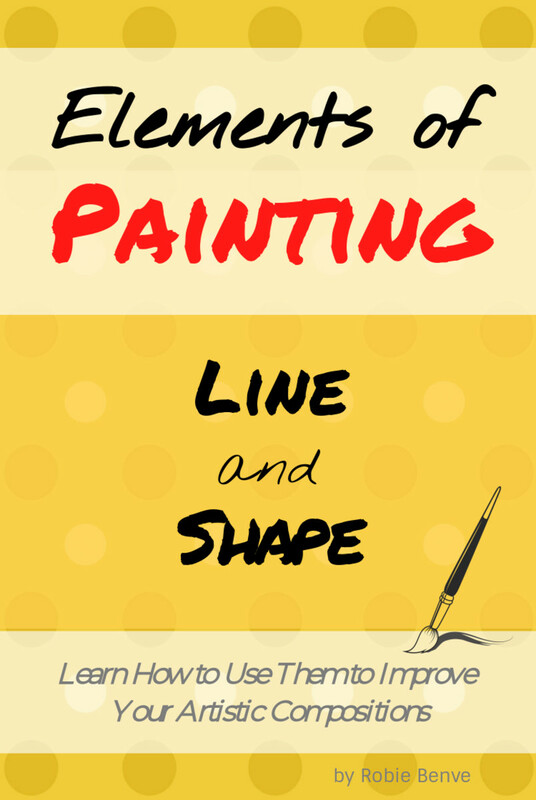 Lines and shapes are essential elements of painting. 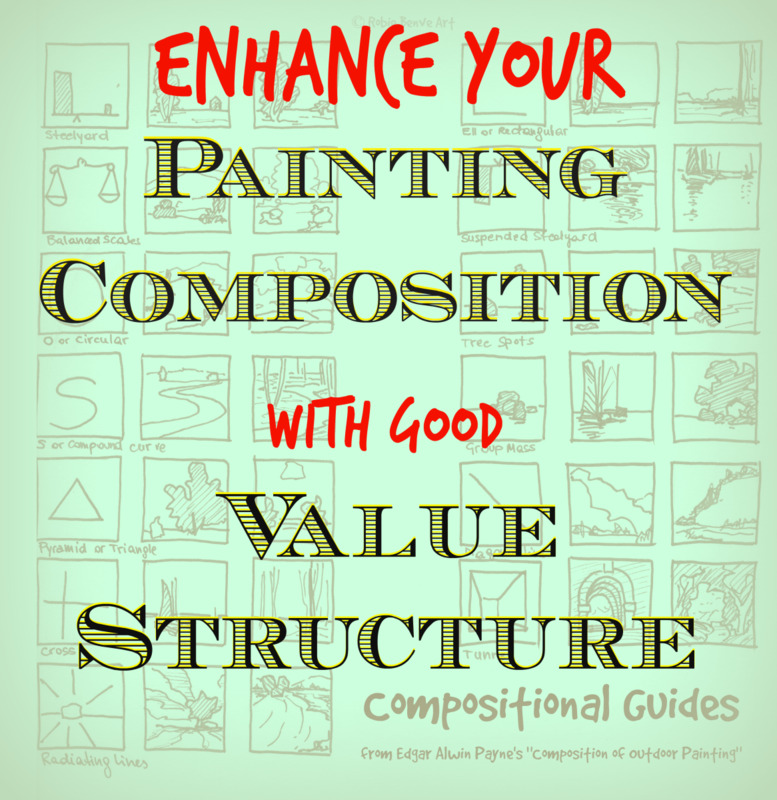 How you use them in art strongly affects the composition and overall feeling of the painting. 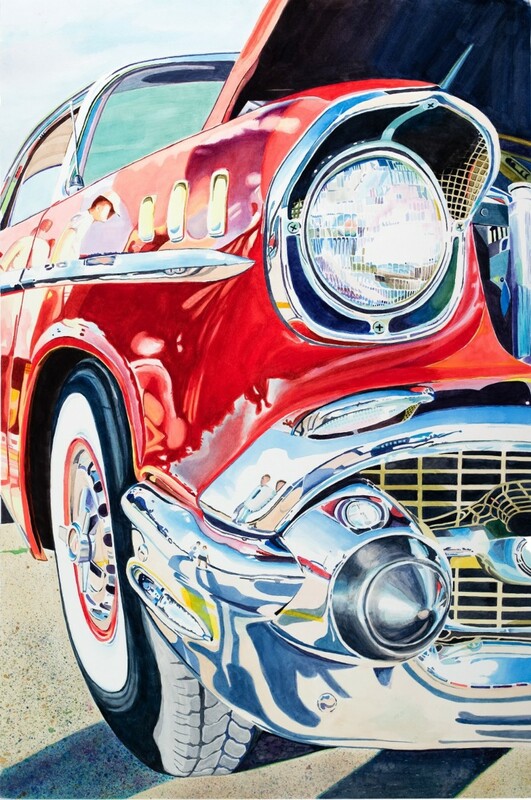 This article will explain my approach to painting images of vintage cars. 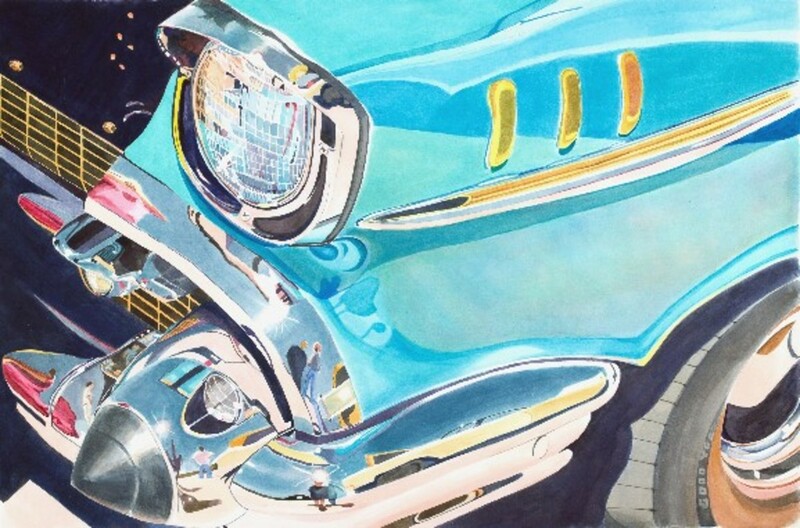 It will follow my process step by step to help artists create beautiful watercolor images of some of history's greatest cars. 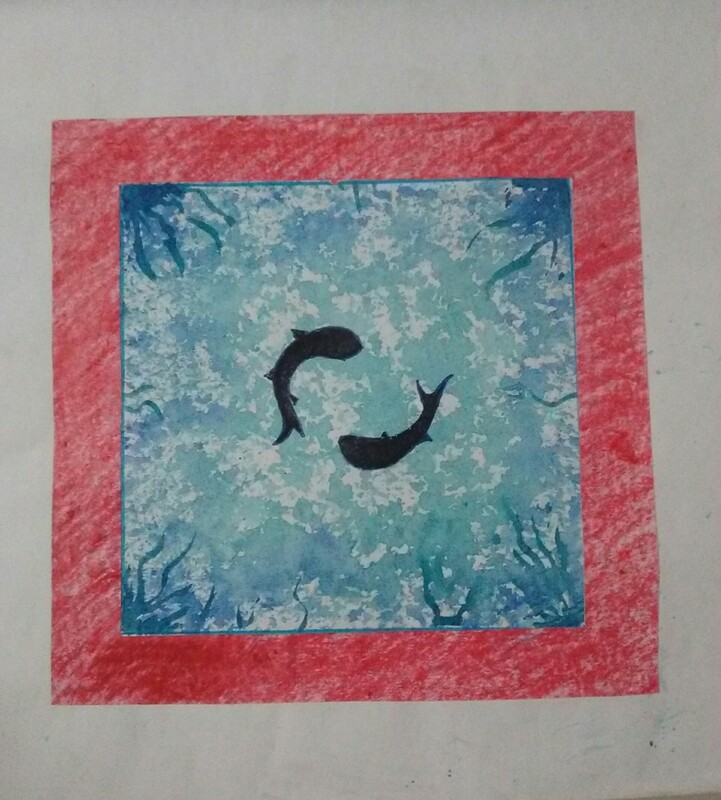 Learn to draw fish in an underwater scenery with a very unique and creative theme using plastic bags. It is very simple and even kids can easily make it. 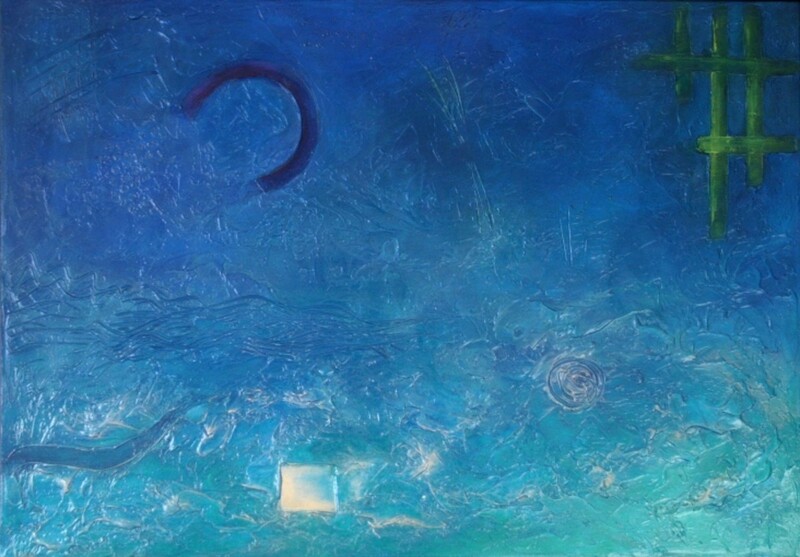 It depicts the scenery seen by a scuba diver in deep sea. Learn how to add color to clear lacquers with pigments and dyes to create fast-drying custom paints and toners! Landscape paintings - or 'shan shui' ("Mountain and water") paintings - have been a part of Chinese art for many thousands of years. 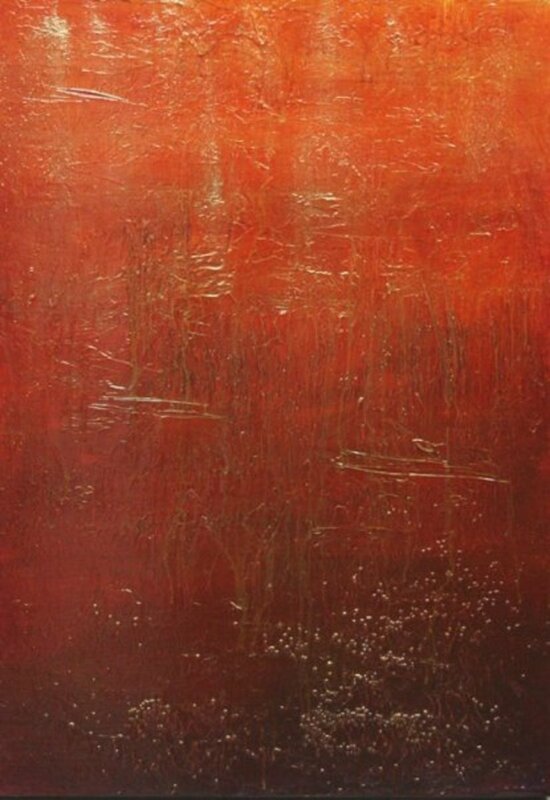 They have deep spiritual and political meanings and are an expression of the artist's inner soul. 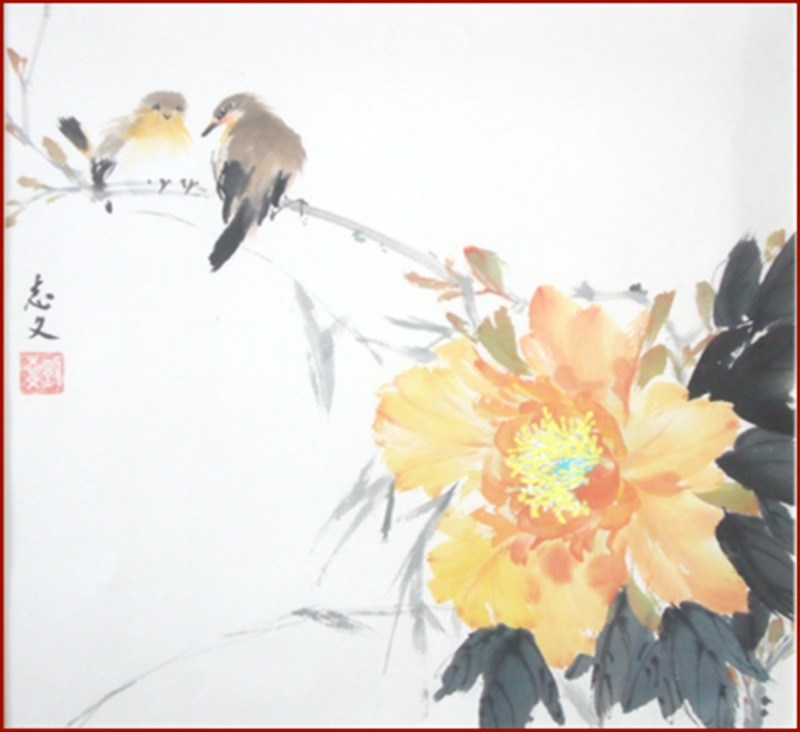 "Chinese Landscape Paintings" takes a look at Chinese landscape paintings throughout the centuries, the basic components of a shan shui painting, and landscape paintings in modern-day Chinese art. 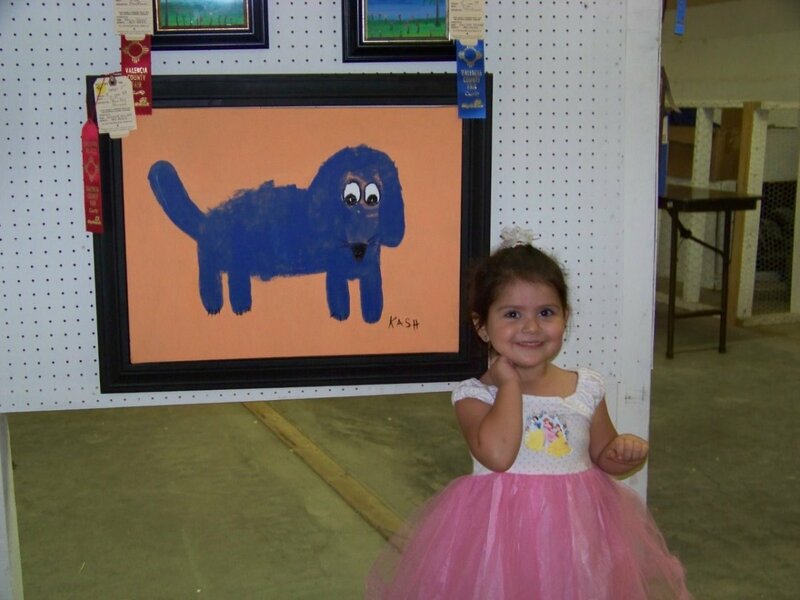 We all know Van Gogh's "Starry Night" and Munch's "The Scream," but few are familiar with these artists' lesser-known works. From dogs to owls, read on to discover 11 of the most surprising and amusing animal paintings by famous artists. 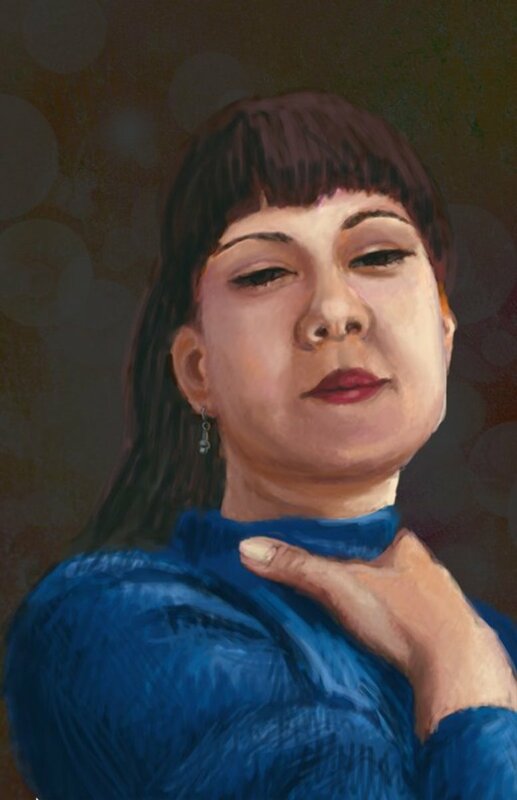 The joy of expressing the essence of a subject, learning the brush strokes and mix of paint on the brush, and finding balance and harmony in our life. 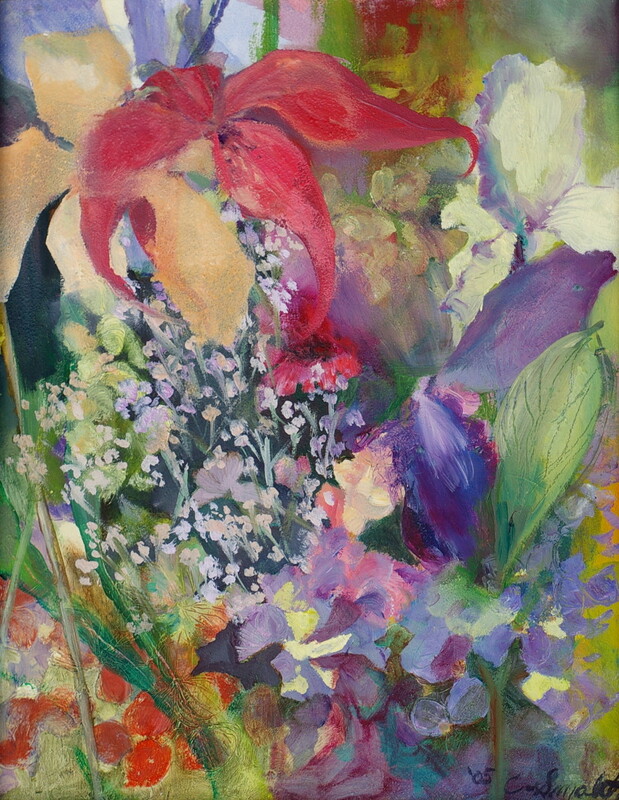 Connie Hayes’s paintings are often recognizable for her vibrant use of color and her loose painting style. 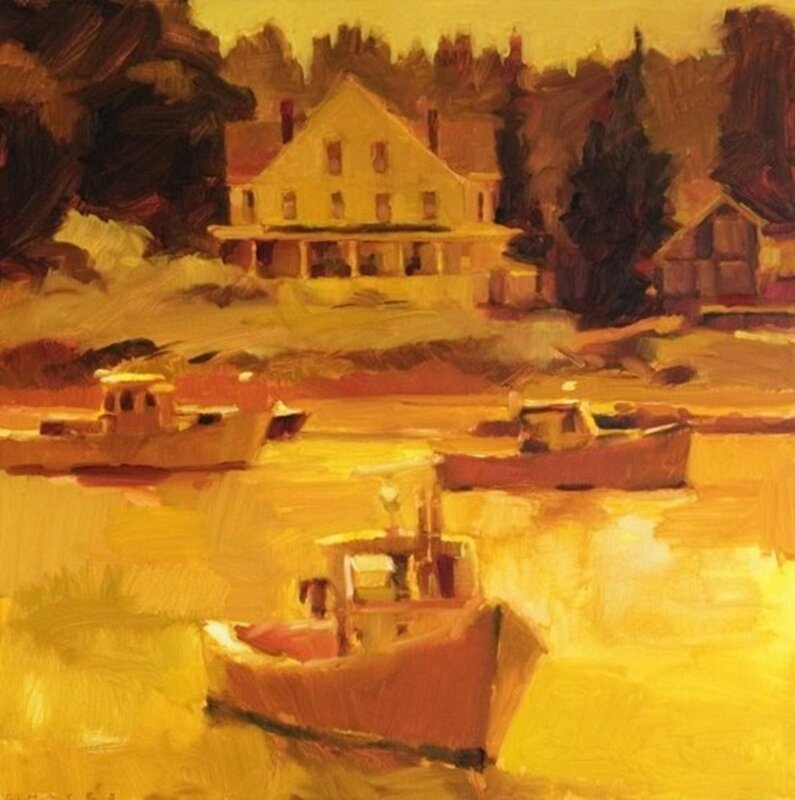 Well-known as a painter of Maine landscapes, she uses color and composition to create unique views of small towns and unseen places in Maine. 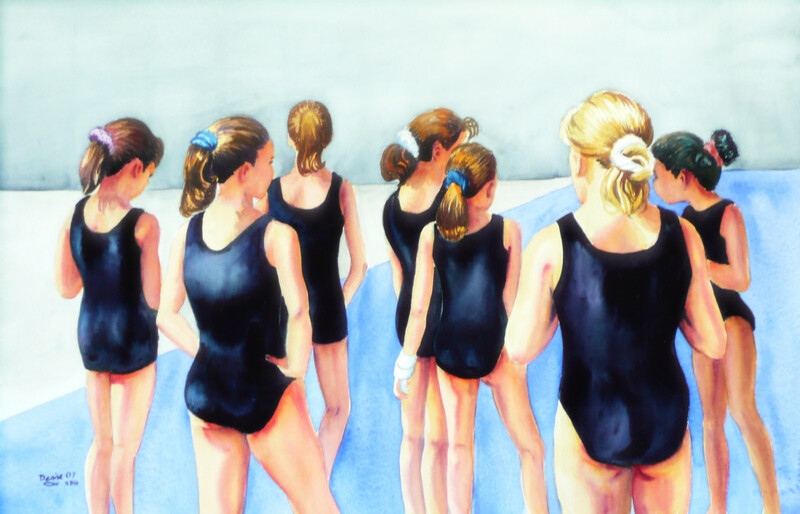 Her paintings beautifully depict the quiet moments of daily life. 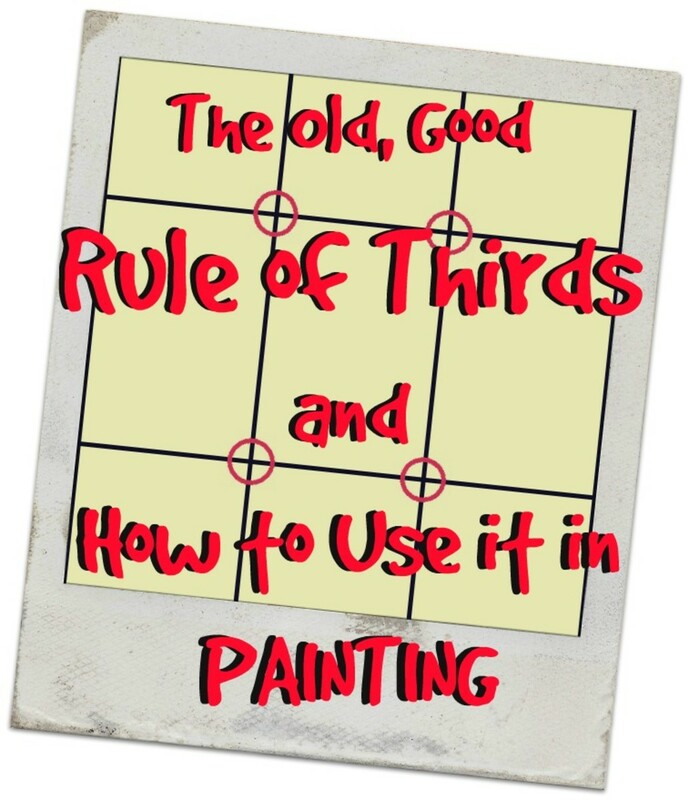 The rule of thirds helps artists and photographers to plan a winning composition. 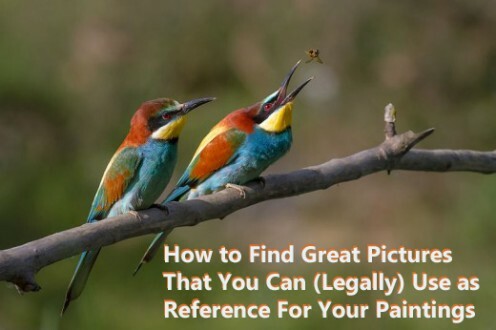 Use it as a guide to composing pictures that looks balanced and interesting. Keep the rule of third as guidance, but integrate more structural elements to make the scene visually pleasing. 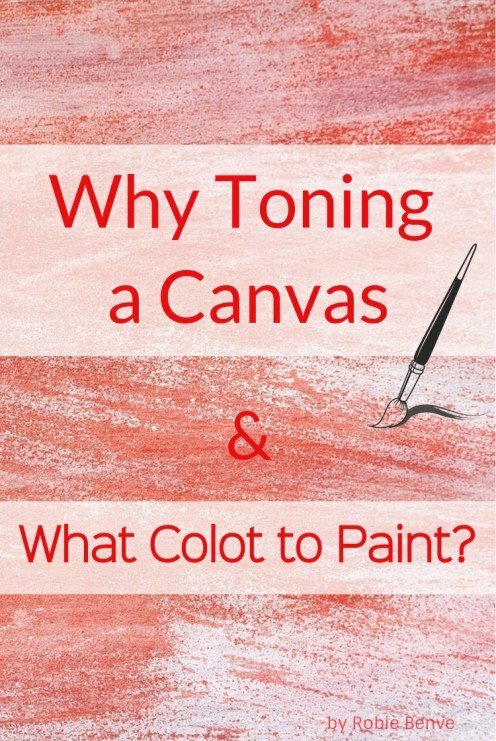 Why is it better to paint on toned canvas, and what color should you choose for the toning? 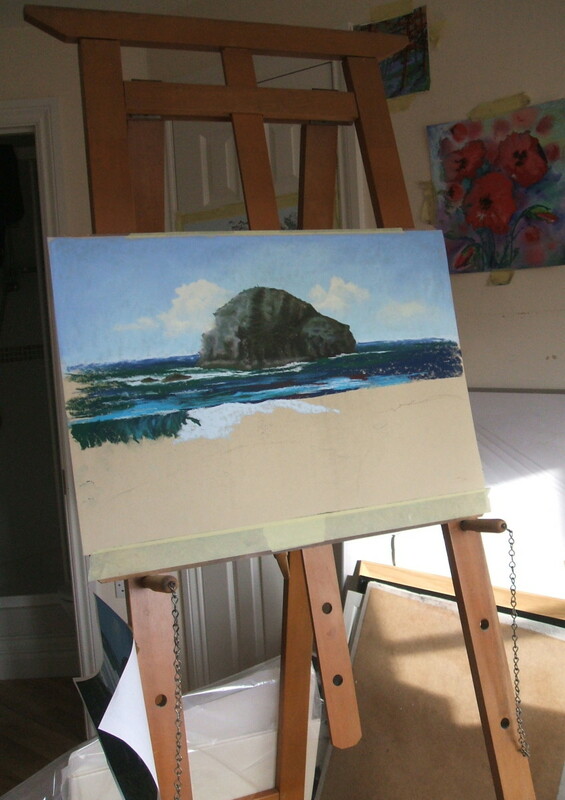 Starting a painting on a colored ground speeds up the painting process and helps to create harmony. What are other advantages of toning? 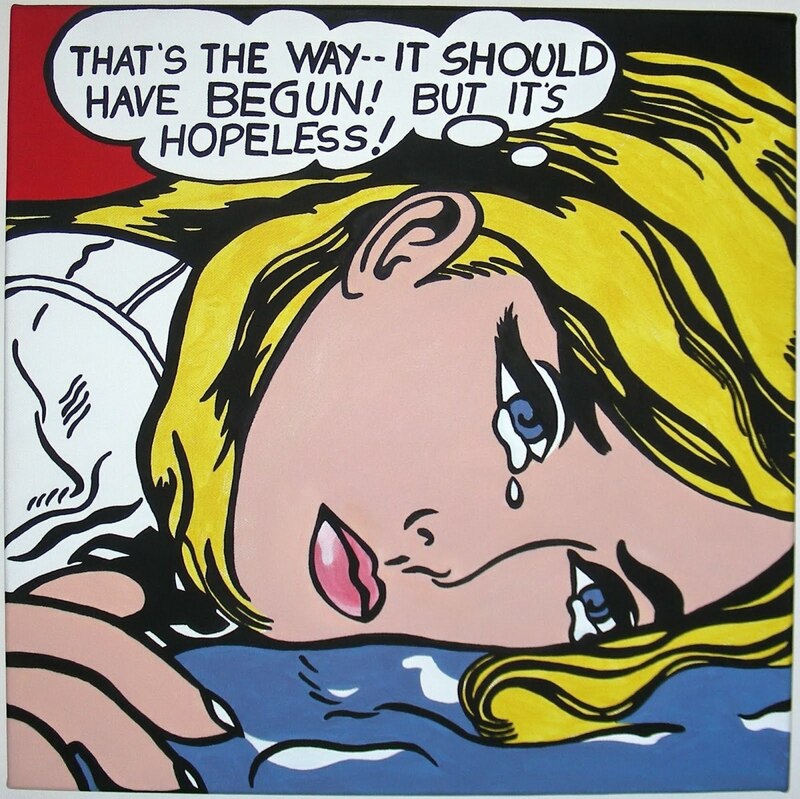 Roy Lichtenstein is best known for his work as a Pop artist, but his work goes deeper and makes a statement about art, culture, and what would soon become of both. 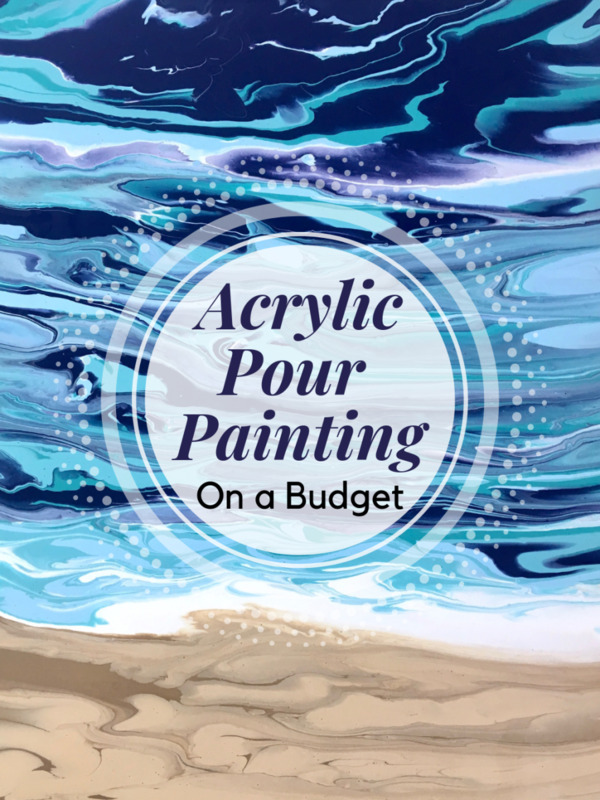 With the endless array of paint colors available, it's a good idea to choose a limited palette that is versatile and can be used to produce beautiful paintings. 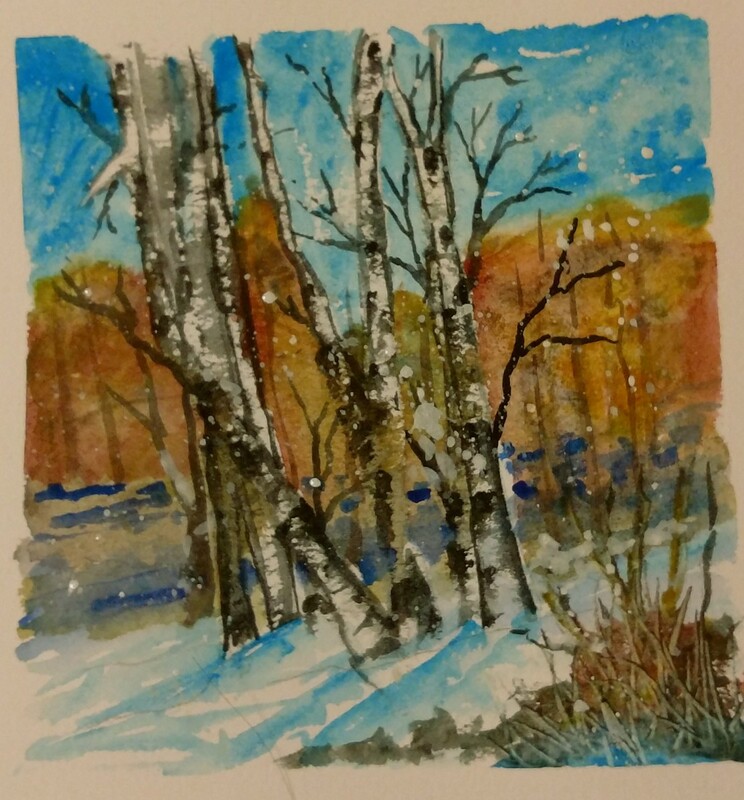 I'll share how to choose the watercolor paper and brushes you use. You have no excuse to keep from starting, so let's get started! People have asked me if watercolor was hard. I had heard that too and avoided watercolor for a long time in favor of oils; I was afraid it would be too hard to tackle. My fears were unfounded. 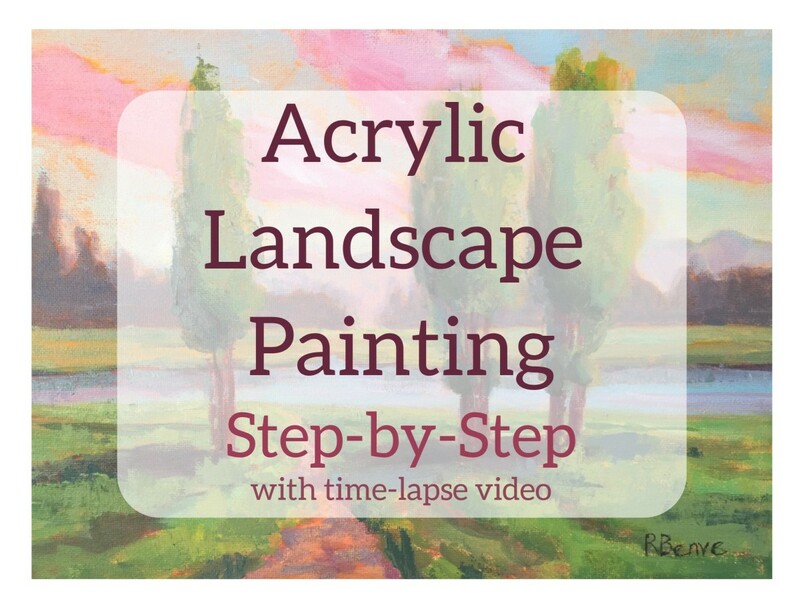 Do you want to create a beautiful acrylic landscape painting on a toned canvas? I've laid out step-by-step instructions for the painting process and included a time-lapse video of the sketching that you can reference. 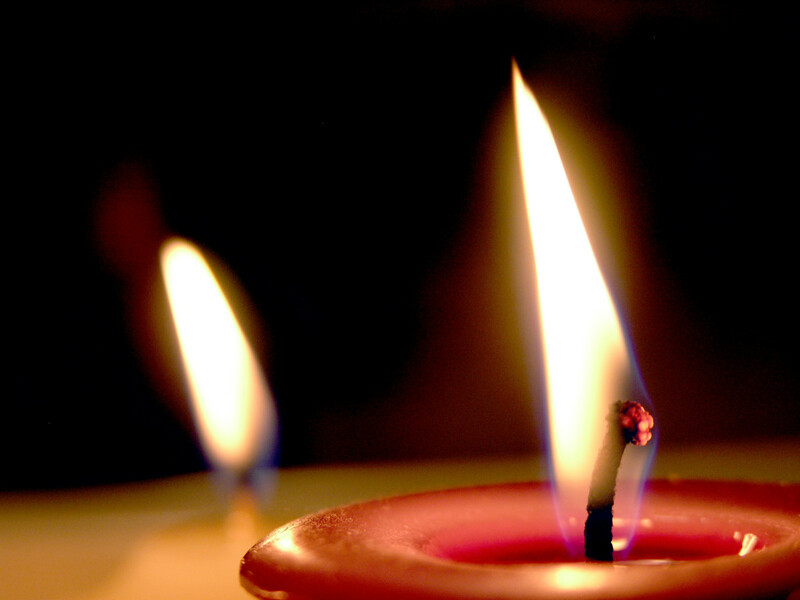 Instructional article on how to create paintings using the smoke produced by candle. 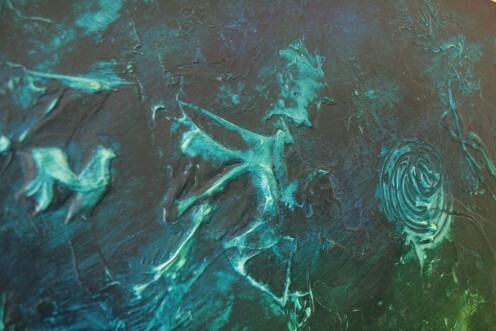 The technique is called fumage or sfumage and was first popularised by artist Wolfgang Paalen. 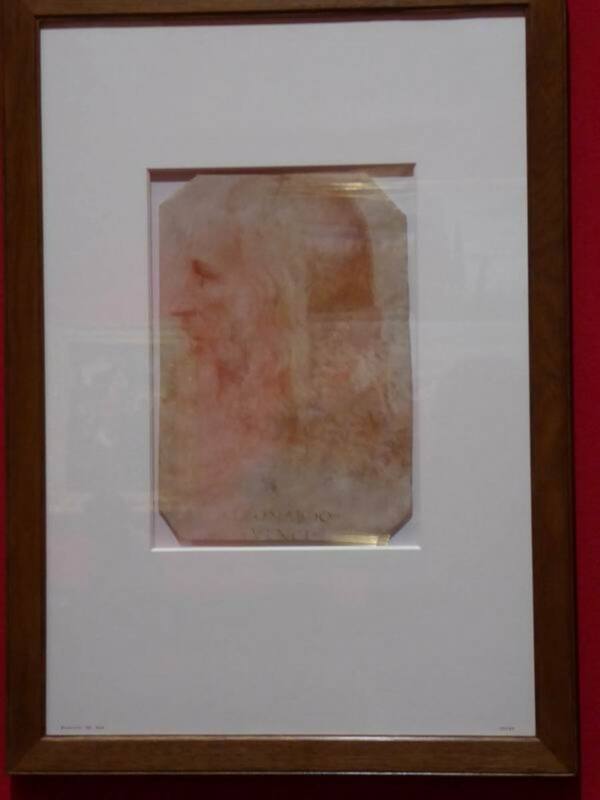 Verdaccio is a classical underpainting technique used traditionally in tempera and oil painting to produce better flesh tones. 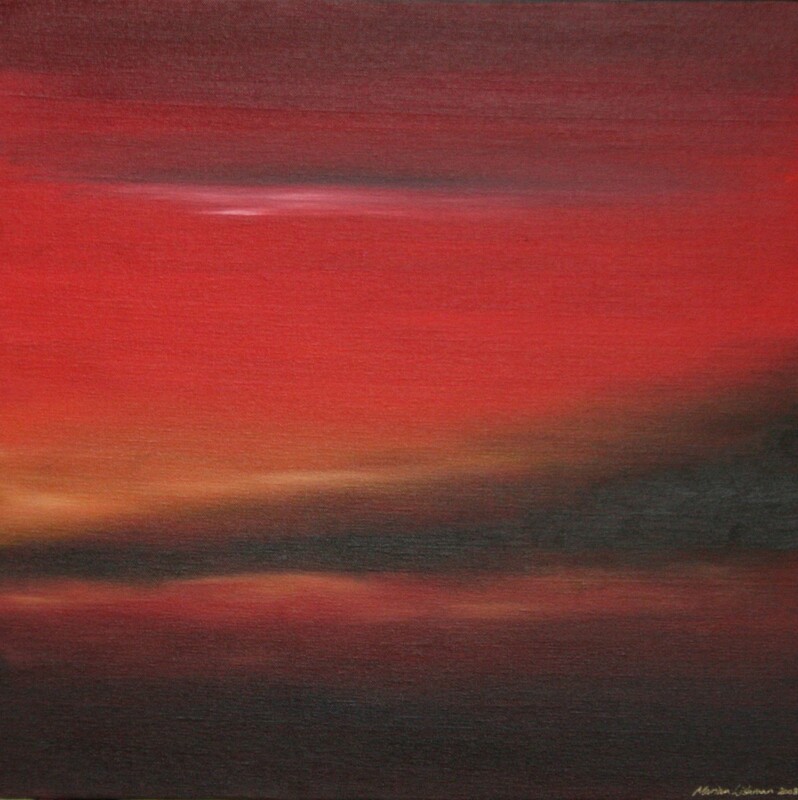 The appearance of a painting is influenced by the effect of light and atmosphere, the arrangement of darks and lights, and the harmony and balance of color. 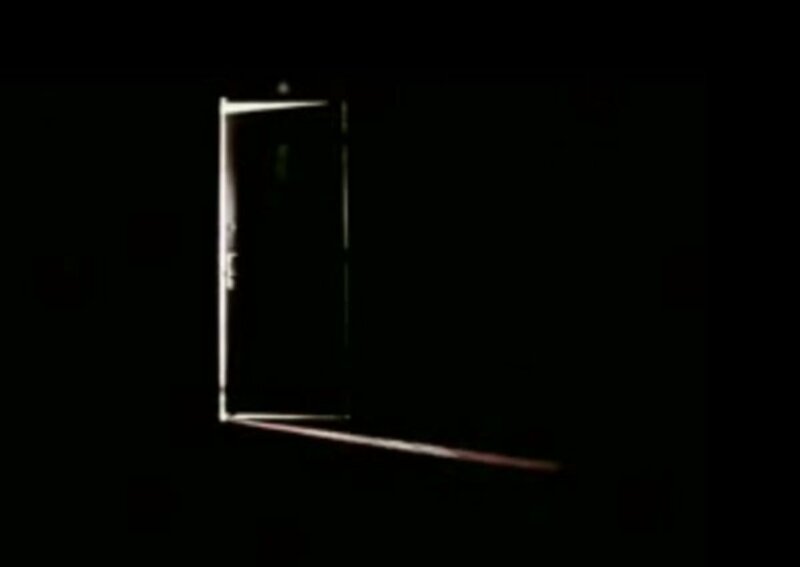 Light influences all of these factors. 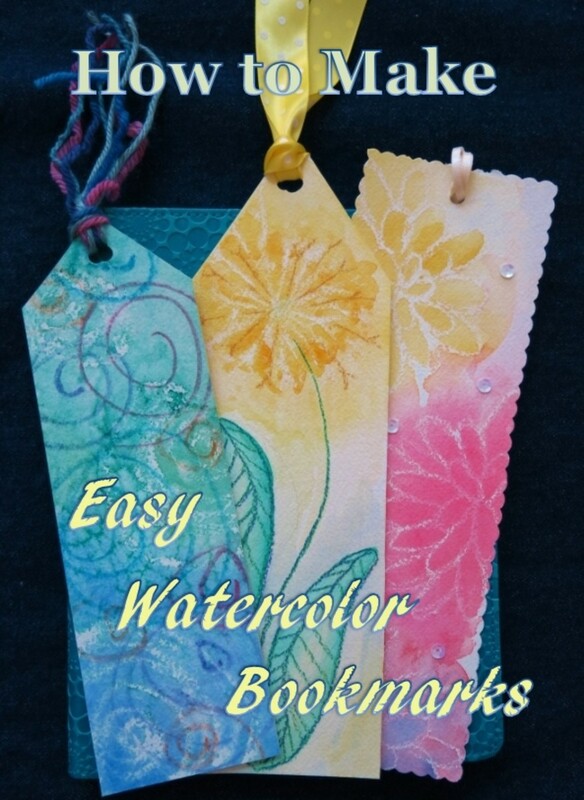 Learn to make colorful bookmarks using simple watercolor techniques and materials! 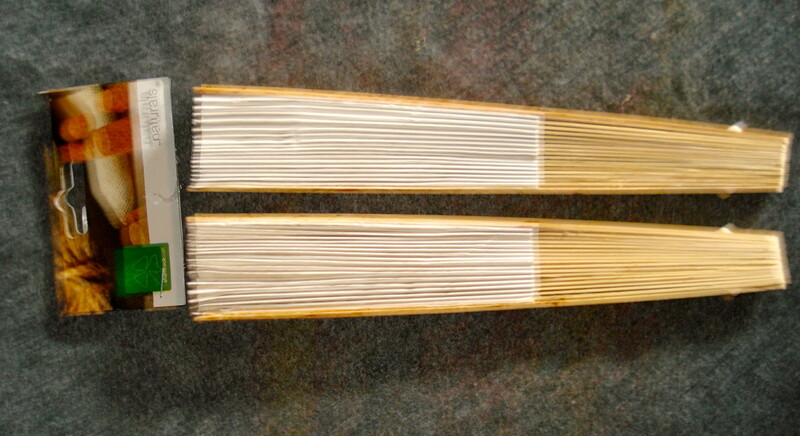 A fun project for artists of all ages, making bookmarks is a great way to enhance your enjoyment of reading! Opacity sounds like a good quality for paint to have, right? Maybe. Discover the differences between opaque watercolors and transparent watercolors to see which is best for your paintings! It's the season for making cards. 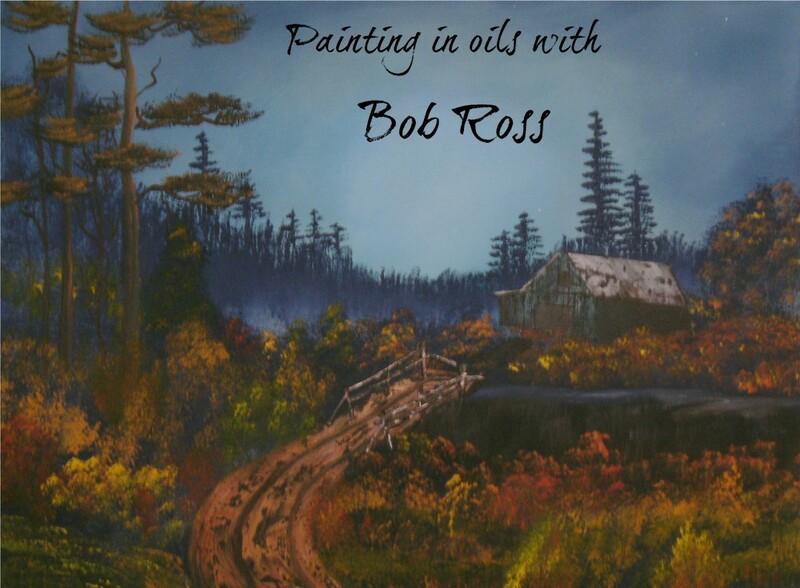 The Bob Ross Joy of Painting series is a tutorial for beginning oil painters and a very good one. 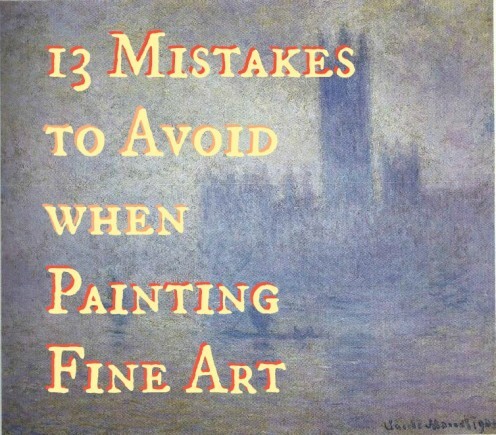 Excellent advice for beginner artists. 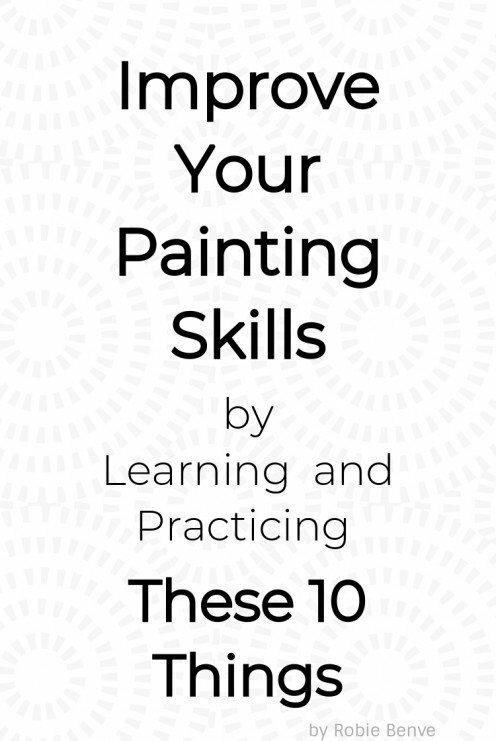 The tips included in this guide will provide you with information on the 10 main things you need to learn and practice to continually improve your painting skills. There are moments when all of the practice pays off and you start to click with your watercolors. And what glorious defining moments they are. 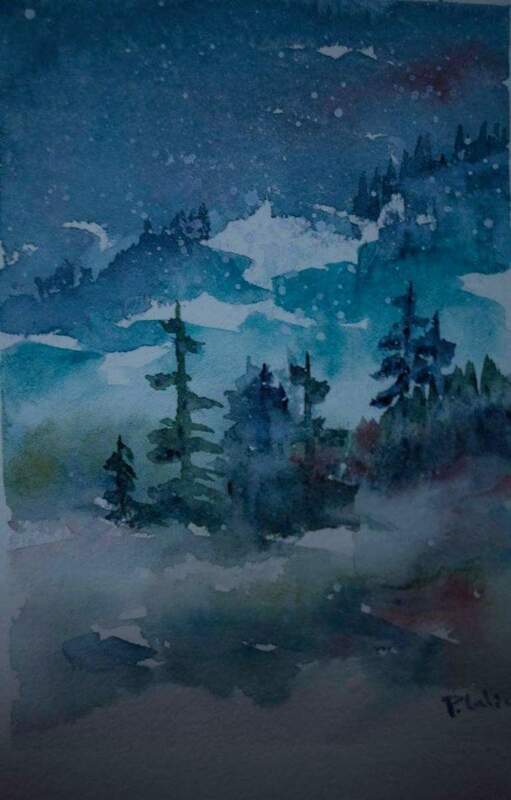 If you're new to watercolor painting, use these five helpful brush techniques and painting principles to create something beautiful! 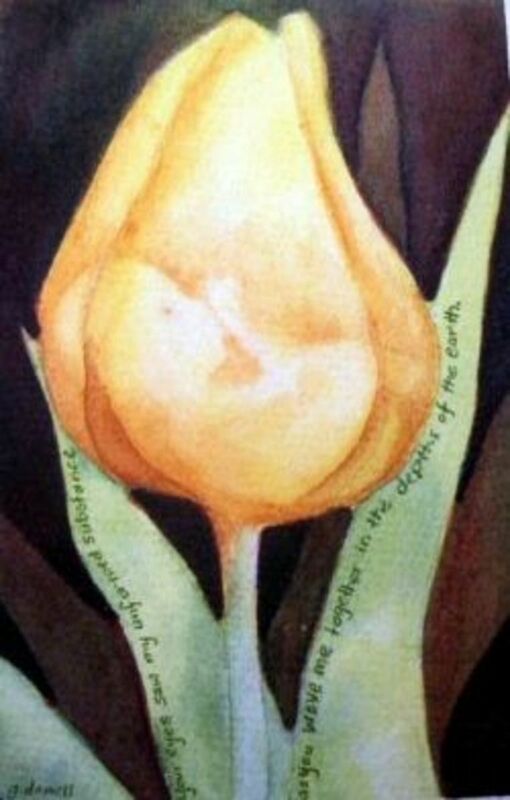 Tips and tools for creating real works of art with watercolor, discussed and examined. Artists and creators need encouragement and inspiration to continue to create successfully. 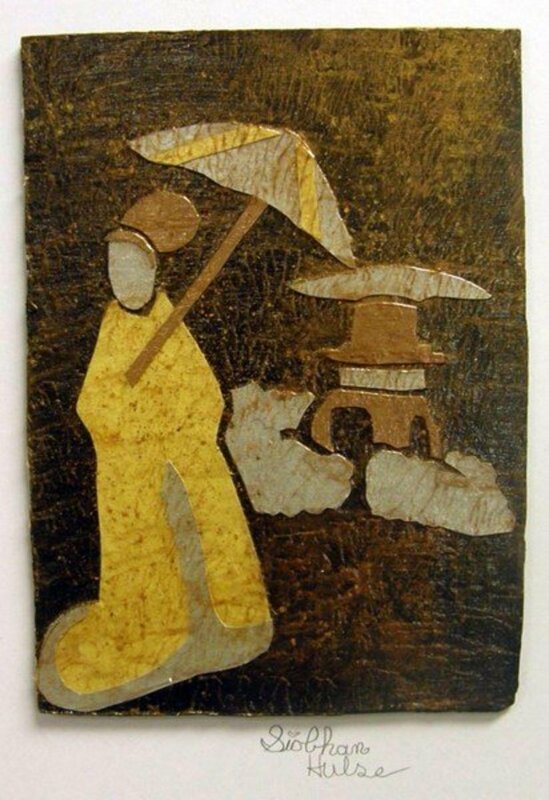 For thousands of years, the process of converting tree resin into lacquer to add beauty and longevity to everyday objects has been practiced and perfected by Asian craftsmen. 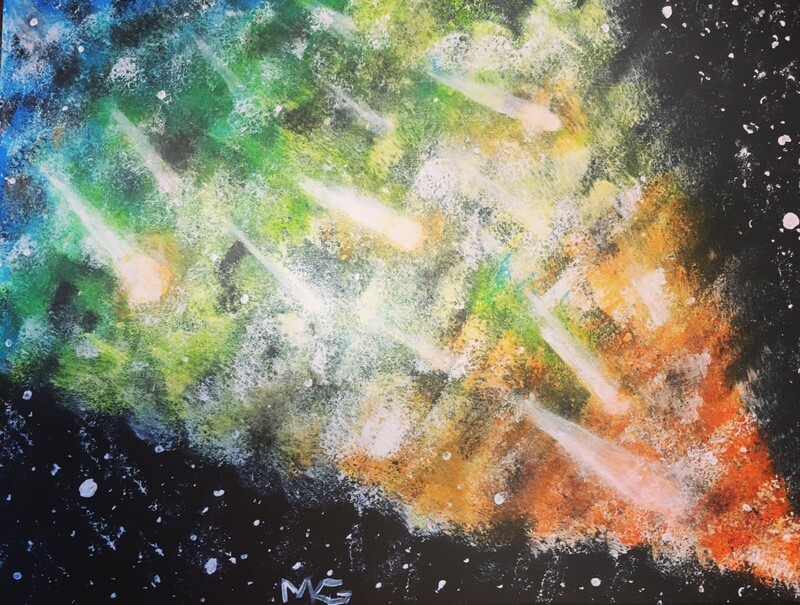 Simple step-by-step guide on how to paint galaxies using paints, a paintbrush, water, sponges and a toothbrush!! 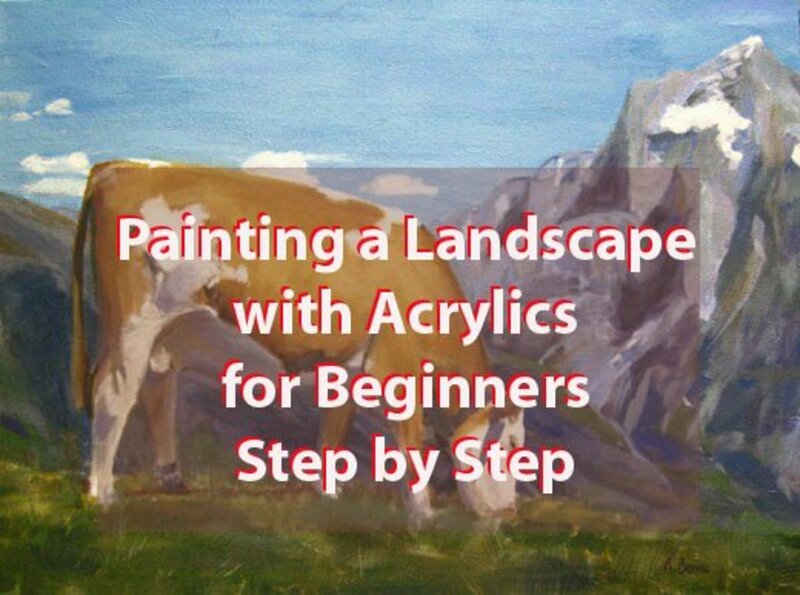 A step-by-step overview of the different stages and decision making involved in a landscape acrylic painting, with an example featuring a cow in an Alpine pasture.